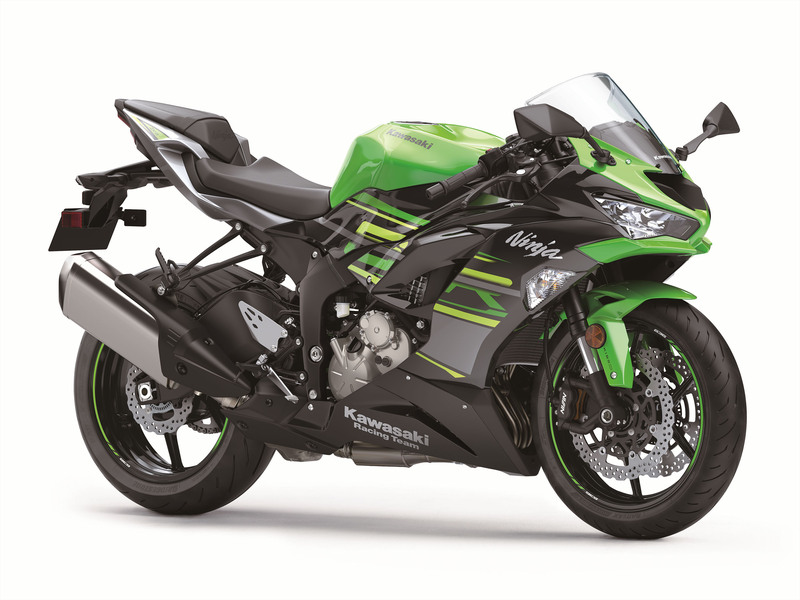 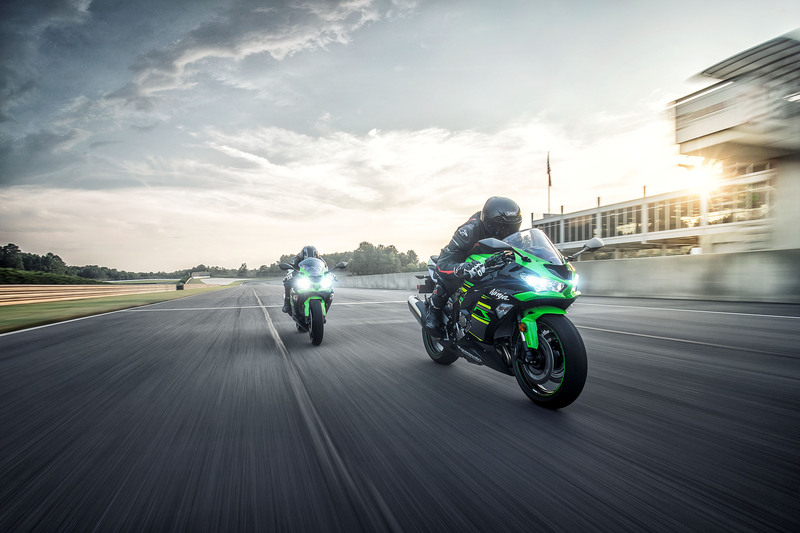 Unveiled today at the AIMExpo in Las Vegas, Nevada, Kawasaki has taken the wraps off the new 2019 Ninja ZX-6R. 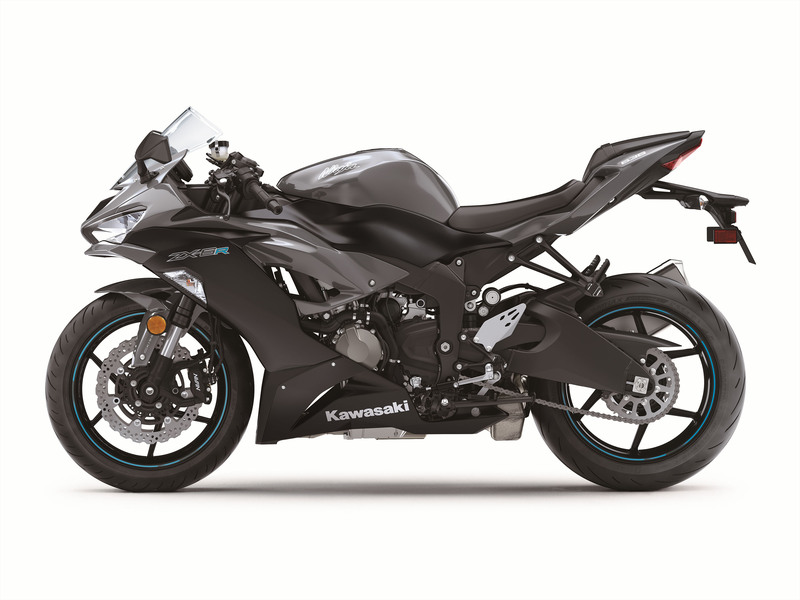 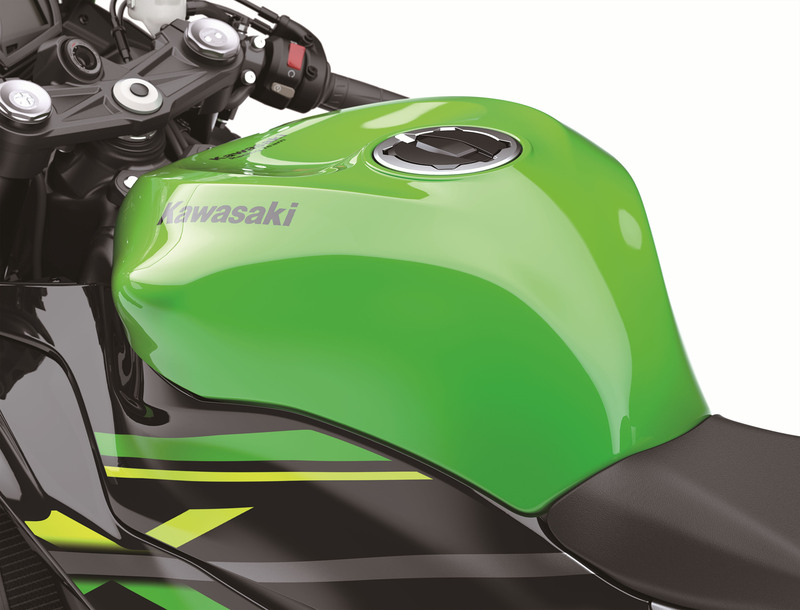 While the 600 supersport category may be far from the glory days of the past, we’re thankful companies like Kawasaki have kept it in their lineups – even if the updates are less than ground-up redesigns. 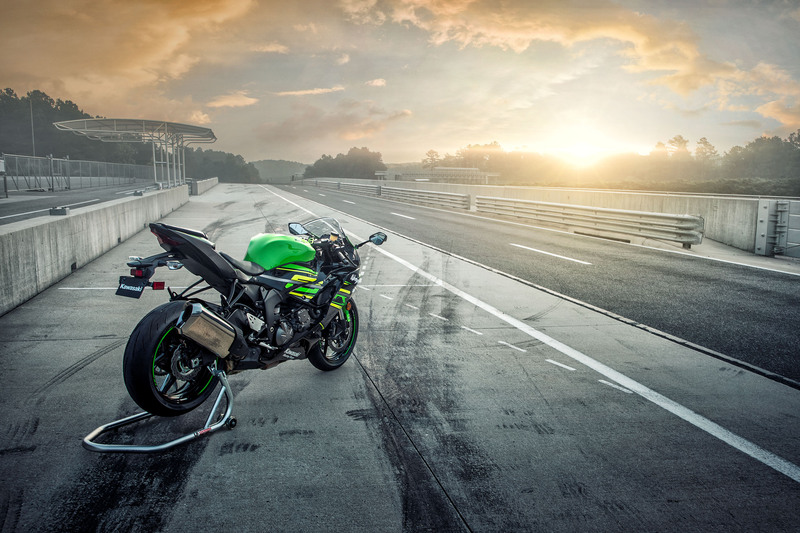 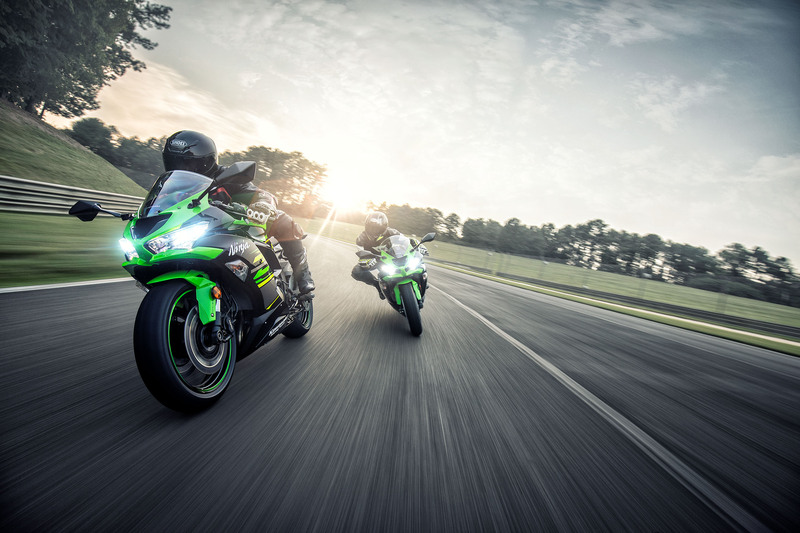 In the case of the ZX-6R, Team Green’s mindset was evolution instead of revolution. 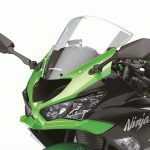 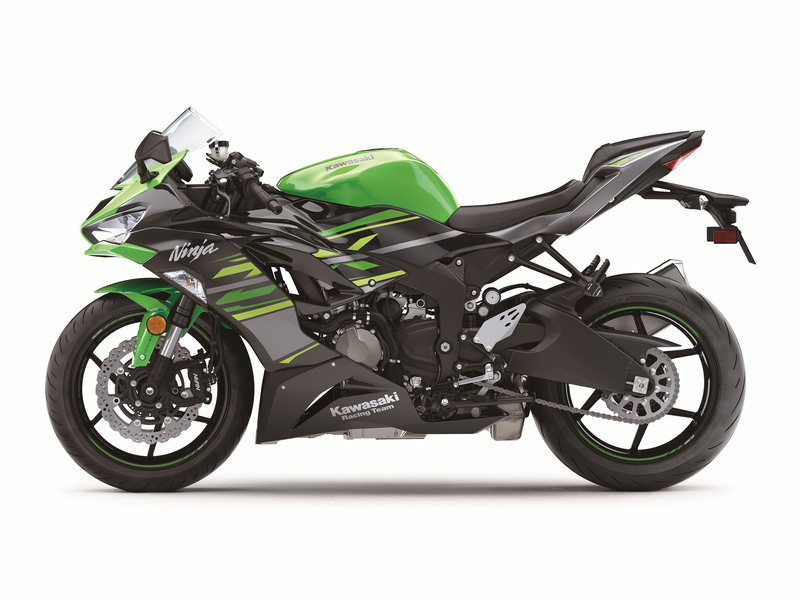 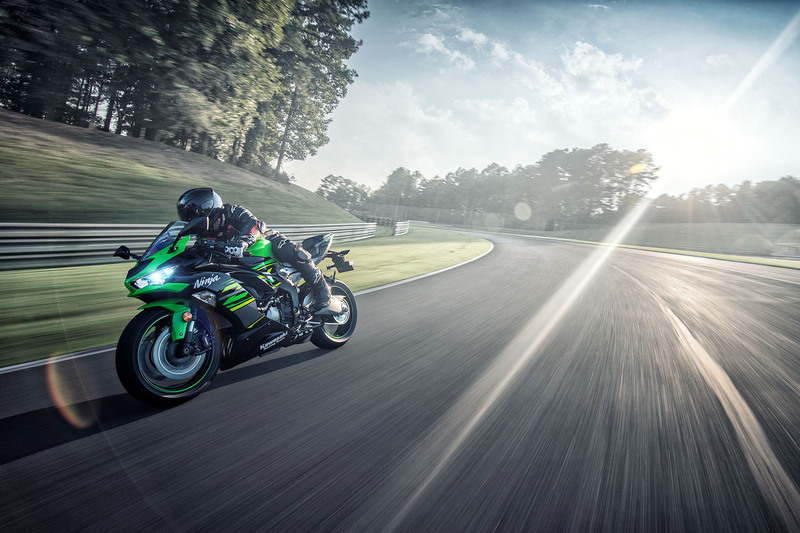 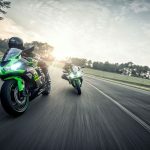 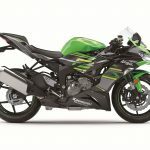 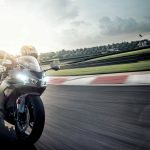 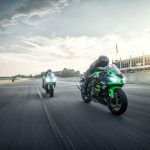 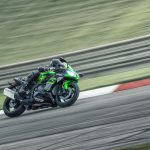 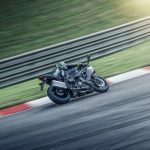 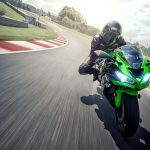 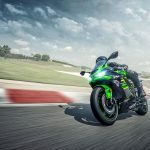 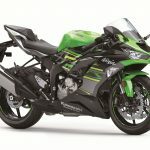 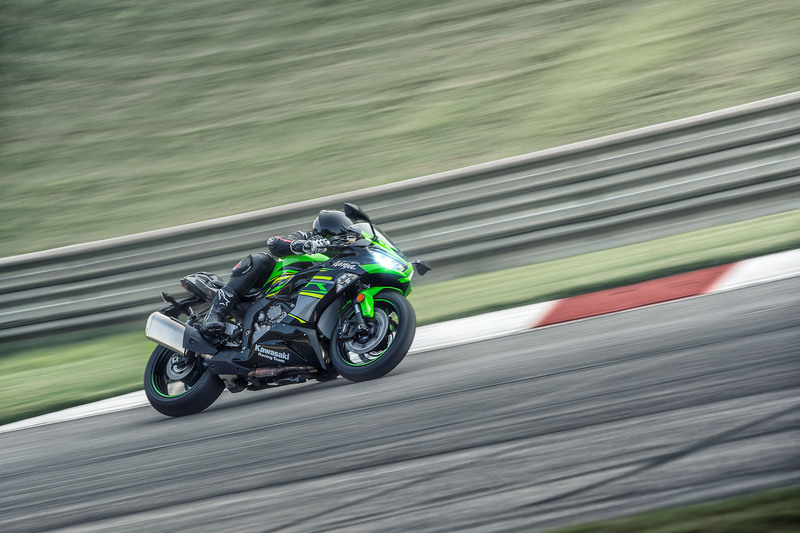 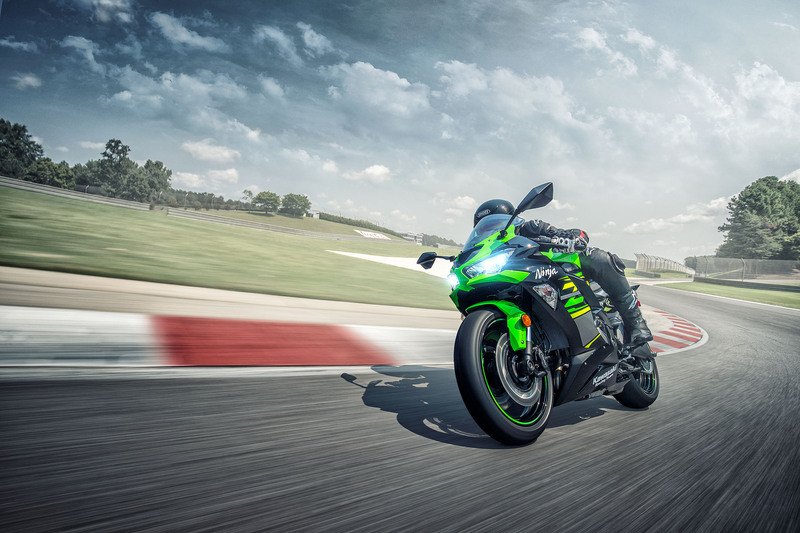 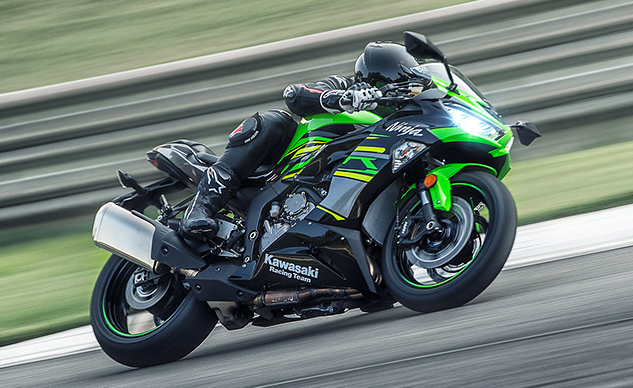 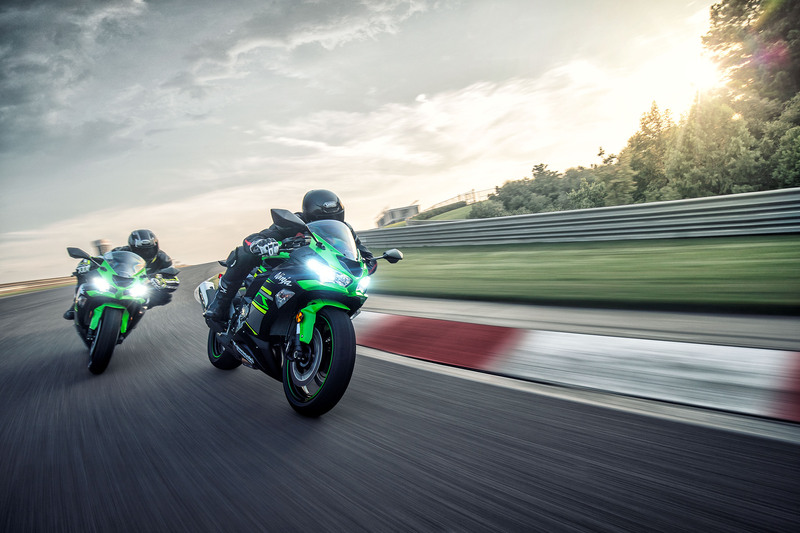 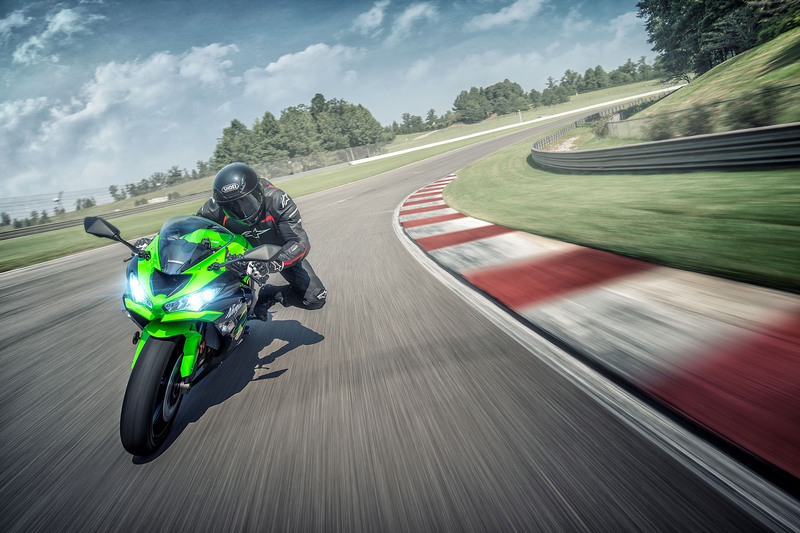 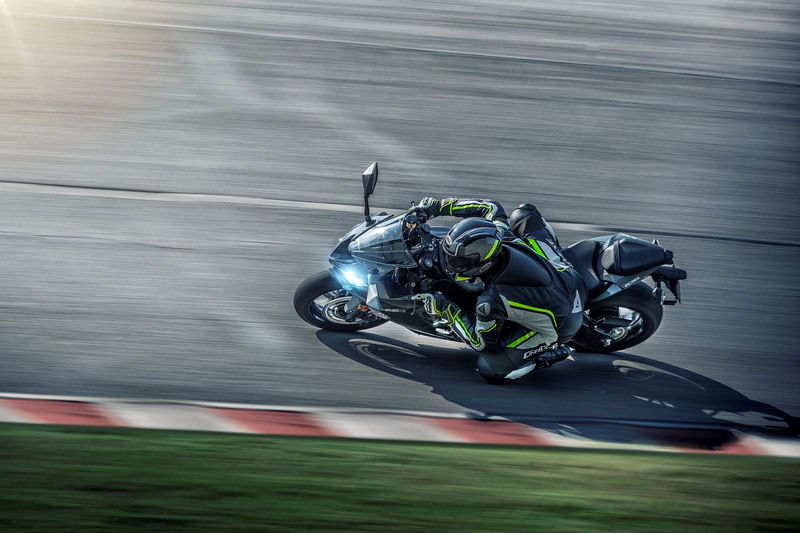 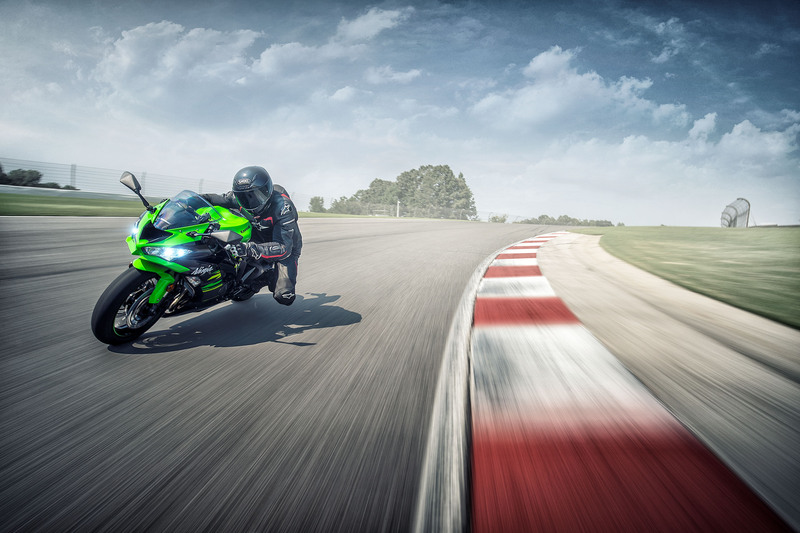 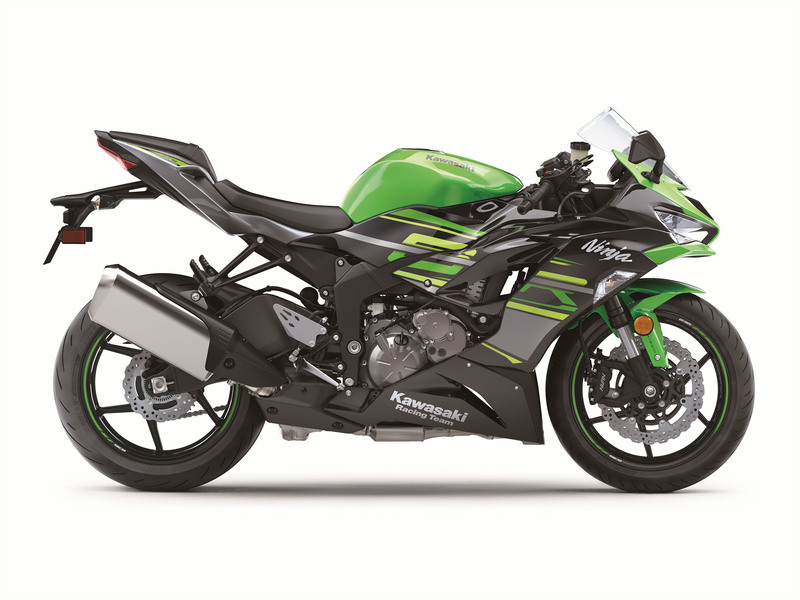 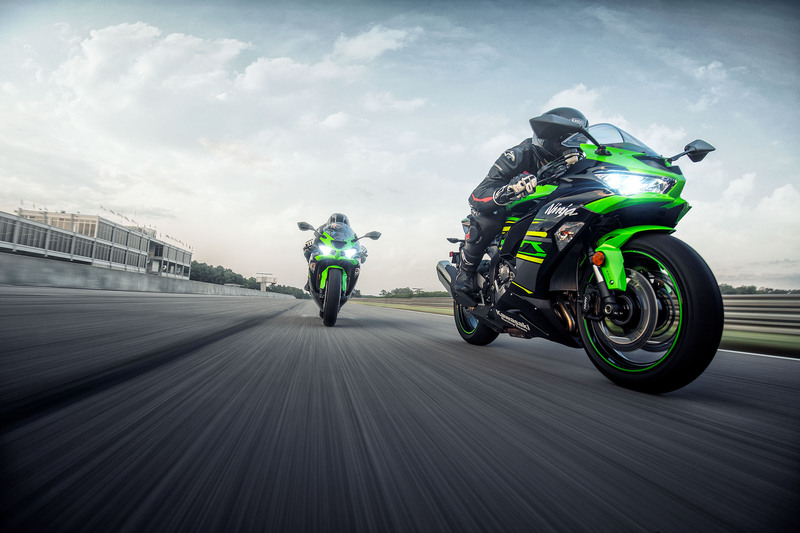 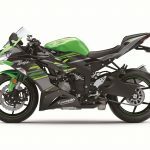 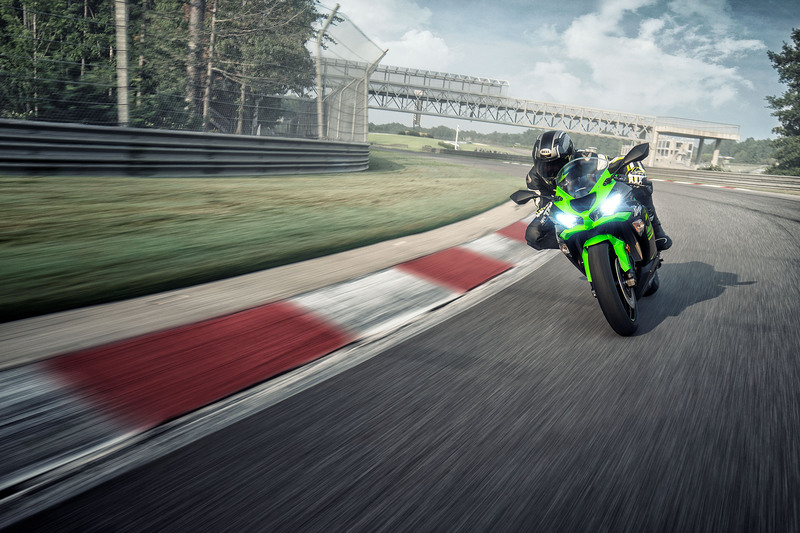 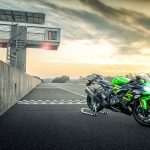 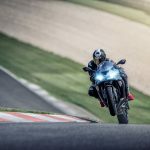 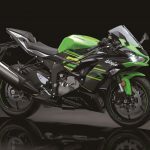 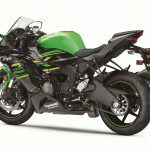 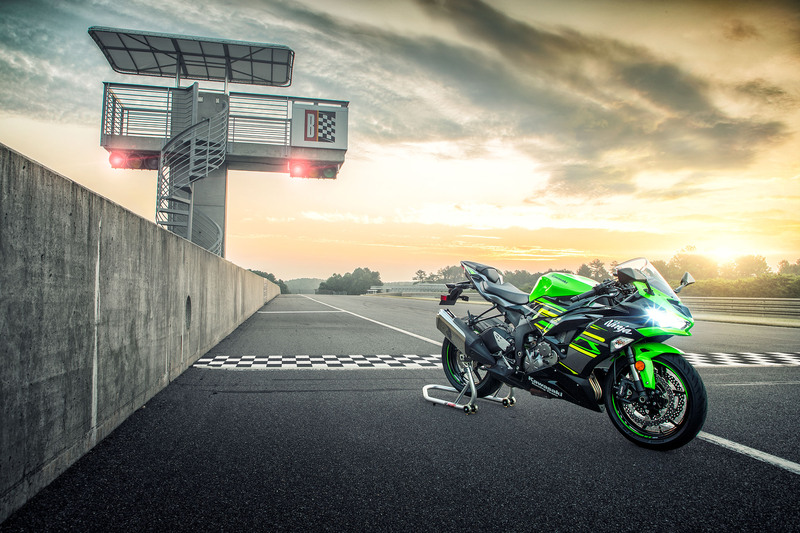 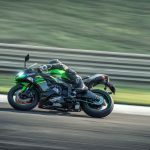 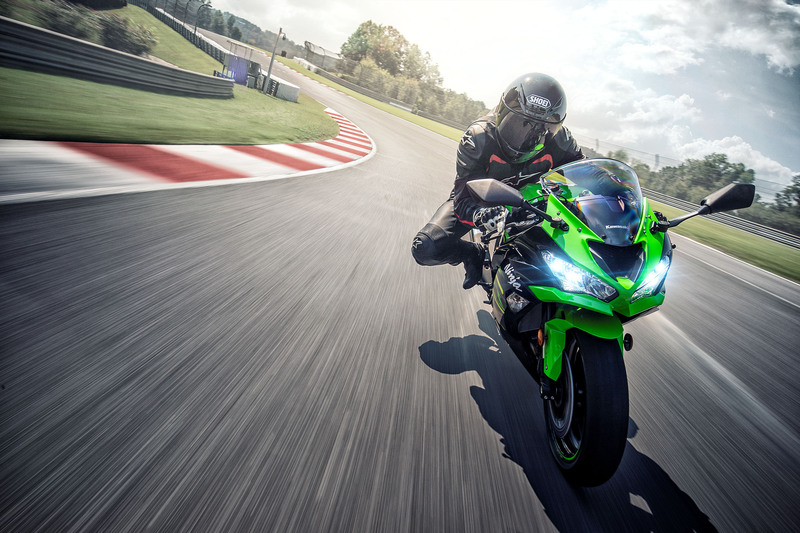 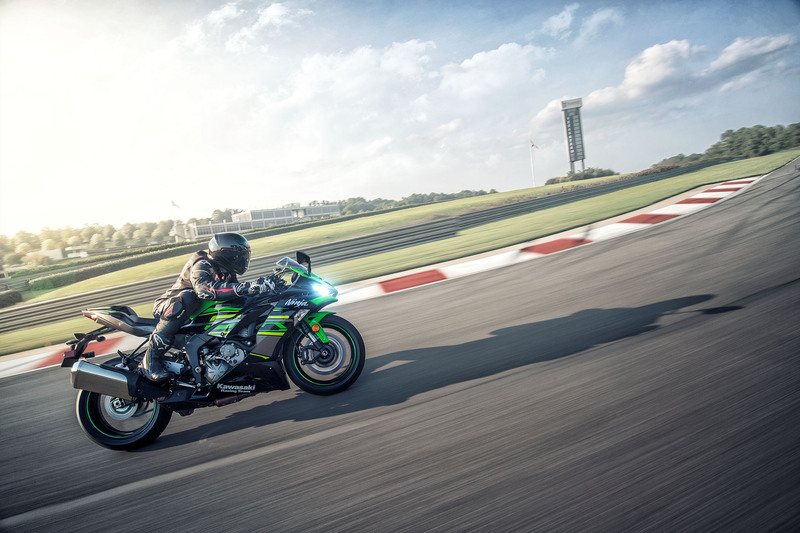 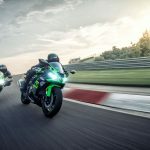 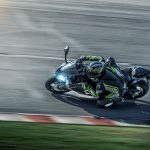 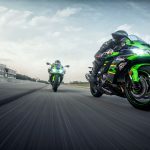 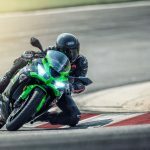 The most obvious difference for 2019 is all-new styling, incorporating sharper edges and inspiration from the ZX-10R (which also received an update for 2019). 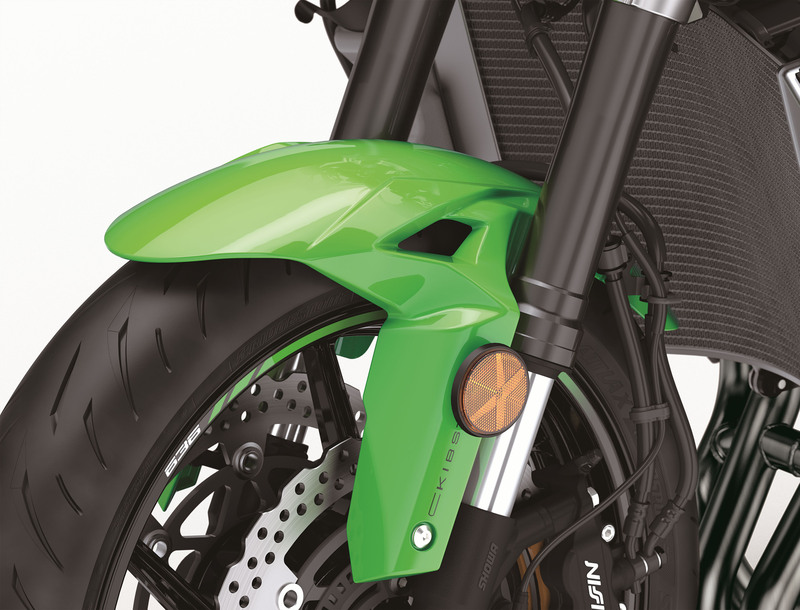 The nose of the 6R is a distinct feature, with a huge mouth-like opening ready to shove fresh air into the intake at speed. 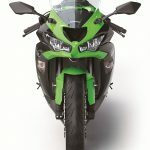 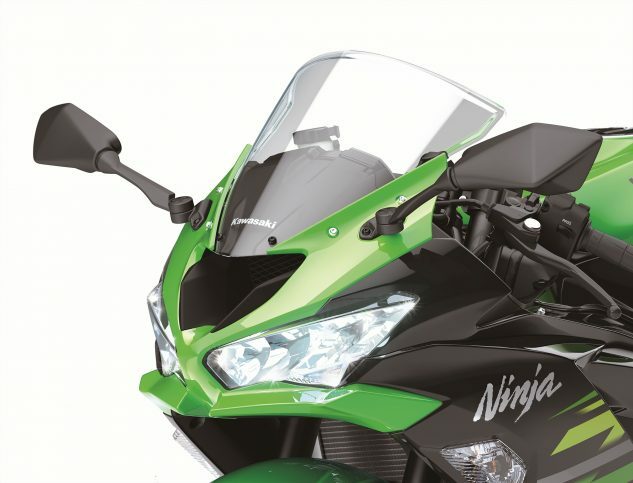 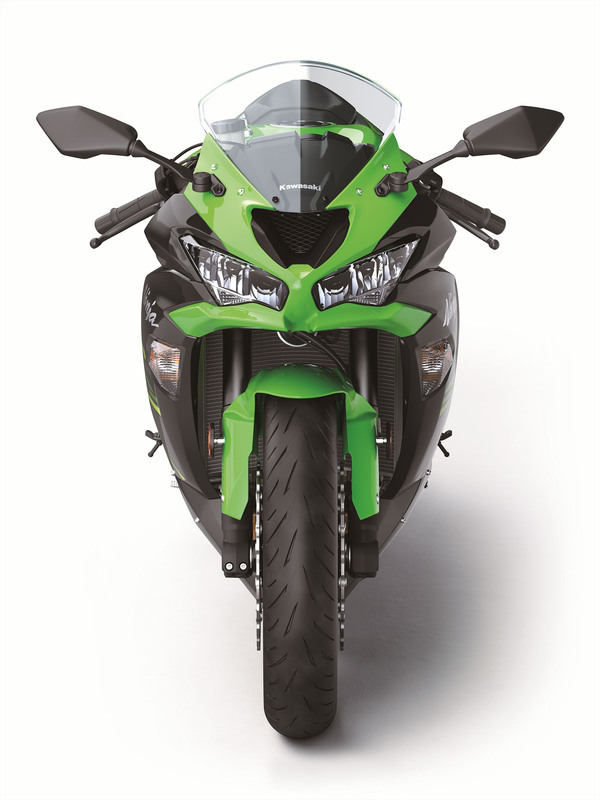 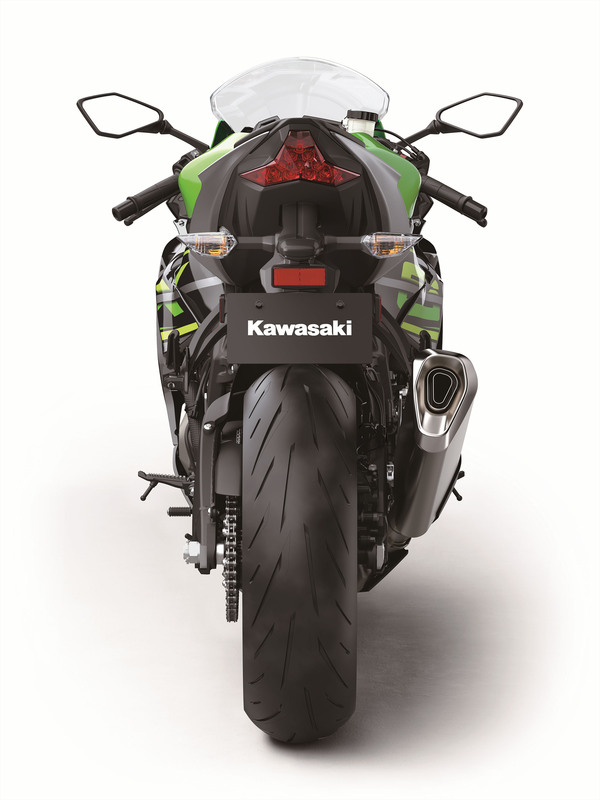 Also, the front’s lower profile is something Kawi says gives the rider a better view of the road ahead. 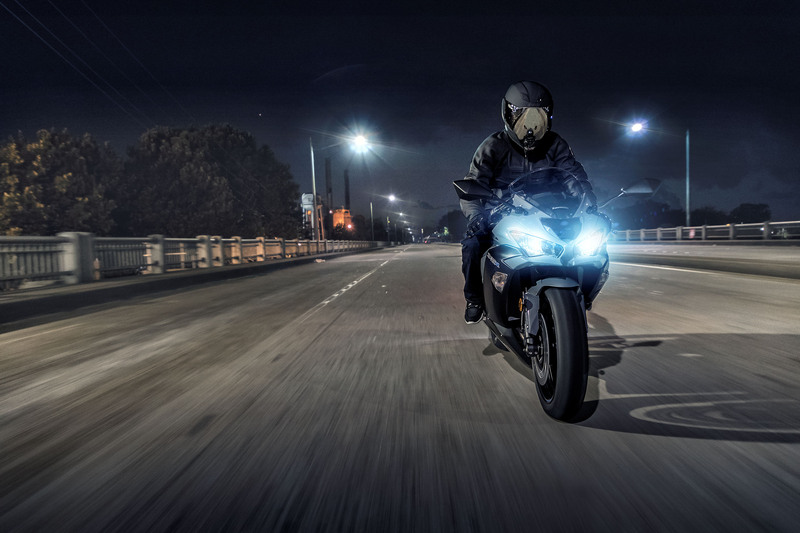 Incorporated into the new nose are new LED headlights that are brighter than before. 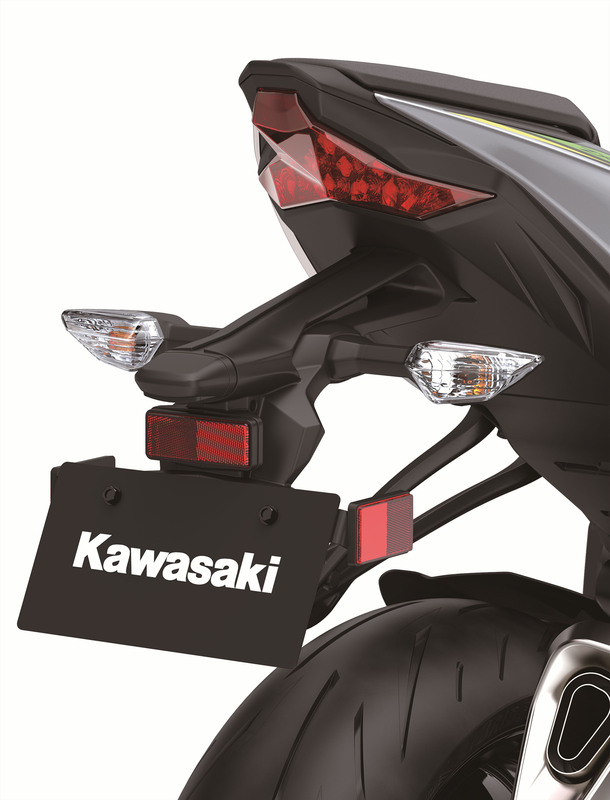 LEDs are also found in the tail, bringing the 6R in line with its 10R big brother. 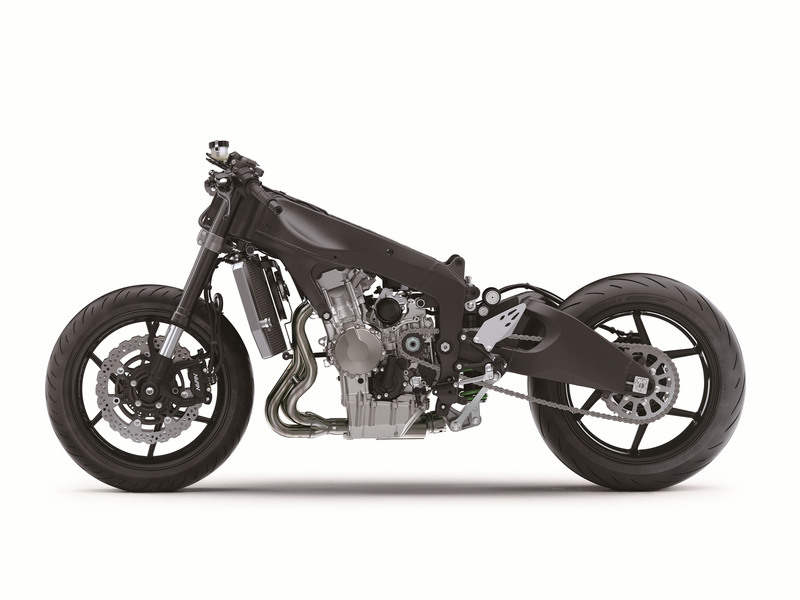 Power for the 2019 6R is the same 636cc four-banger seen on the previous model, now fine- tuned to comply with Euro 4 emission regulations. 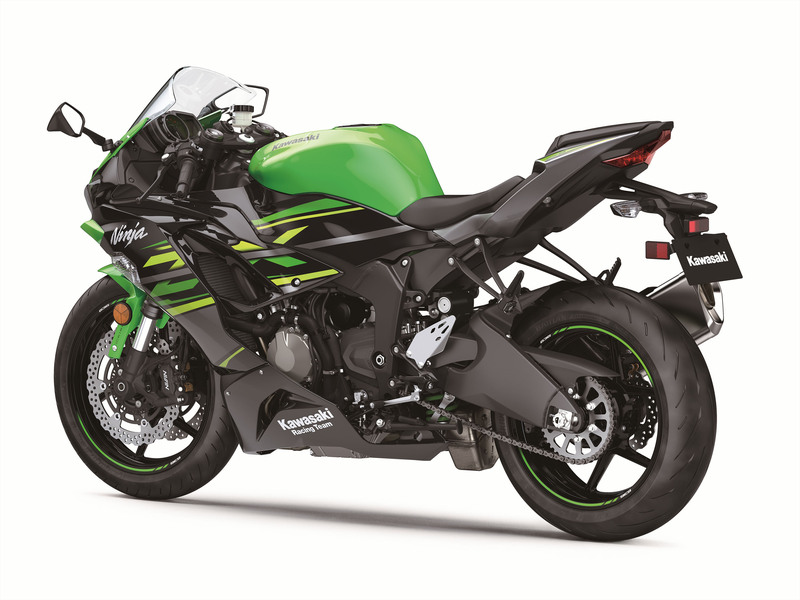 Considering the relative stagnation of the 600 class, we’re not surprised to learn the engine returns mostly unchanged from before. 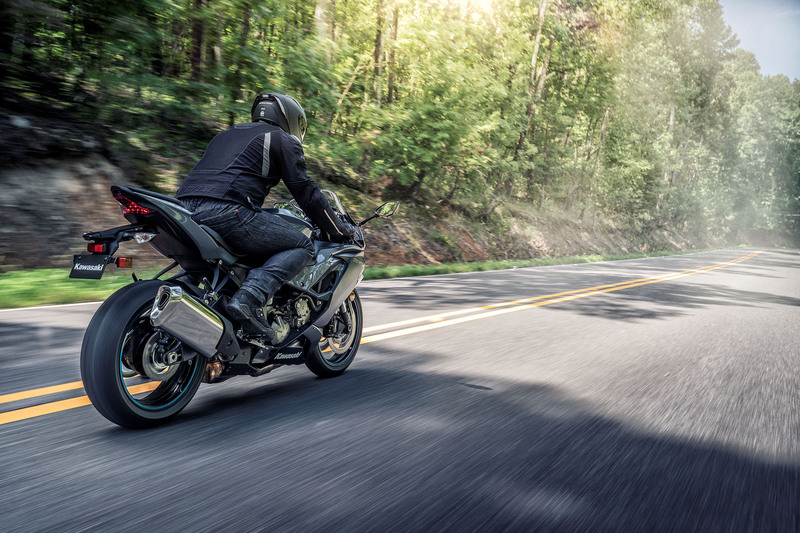 Not that this is a bad thing – we’ve long been fans of the “cheater” 600, with its modest increase in torque aiding it in around-town riding. 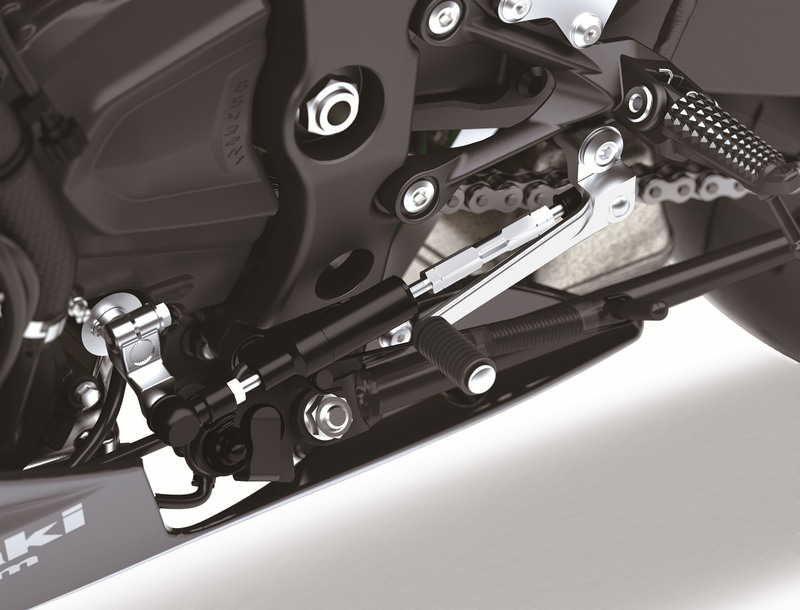 The same six-speed cassette-type transmission also returns, as does the assist and slipper clutch, but new for 2019 is the addition of an electronic quickshifter for upchanges (downshifts are still done with the clutch). 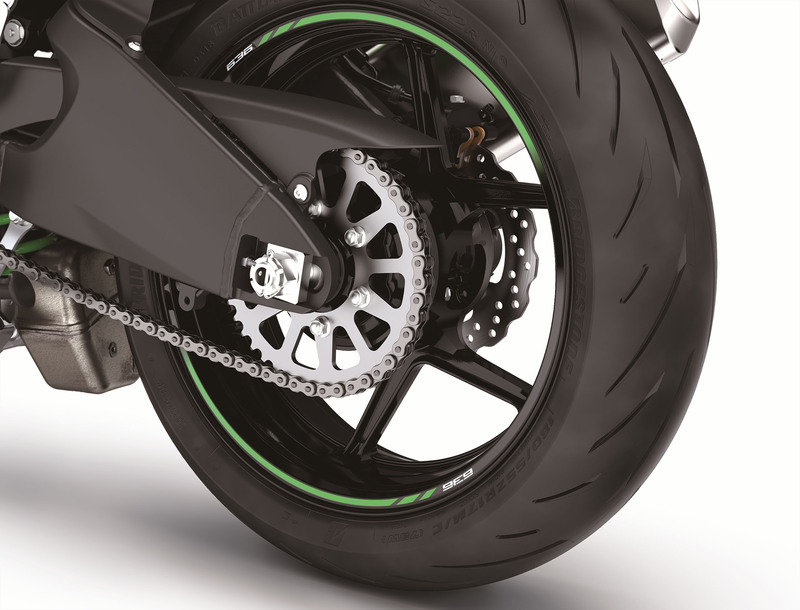 Final drive gearing has also been modified, with the front sprocket dropping one tooth from last year (16 to 15), for snappier response on acceleration. 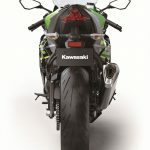 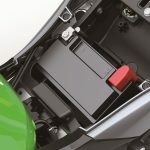 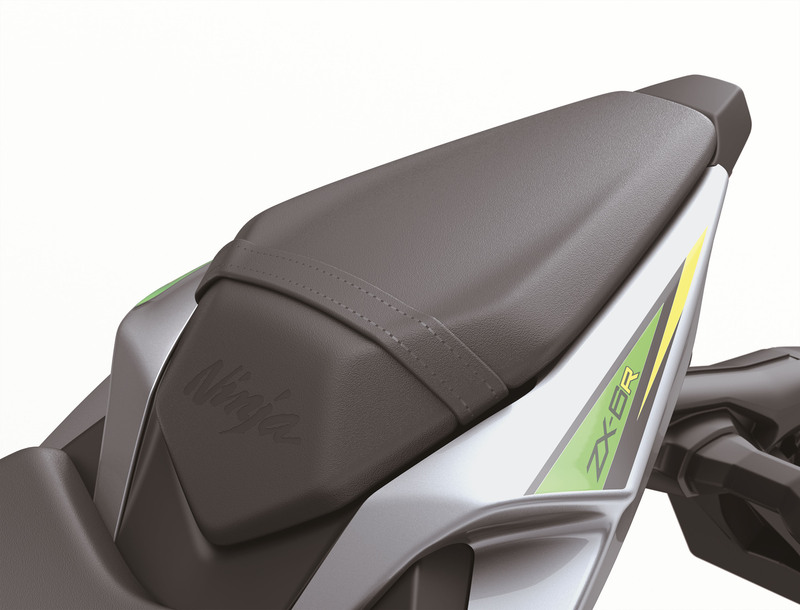 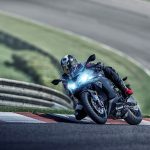 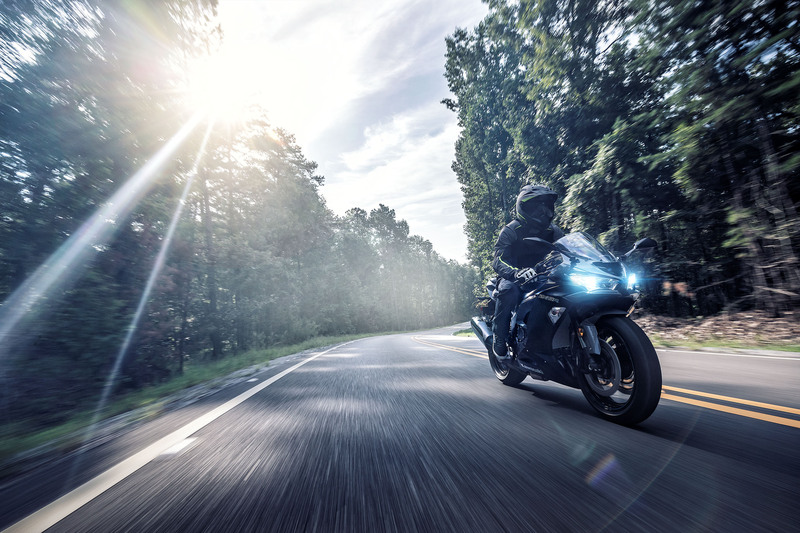 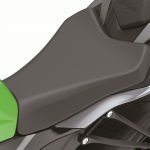 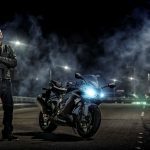 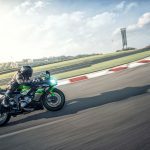 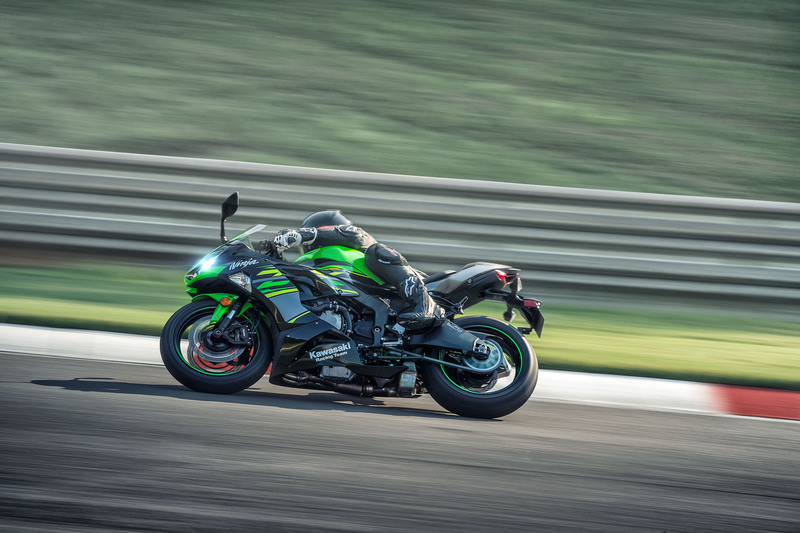 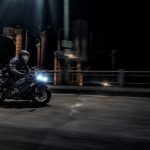 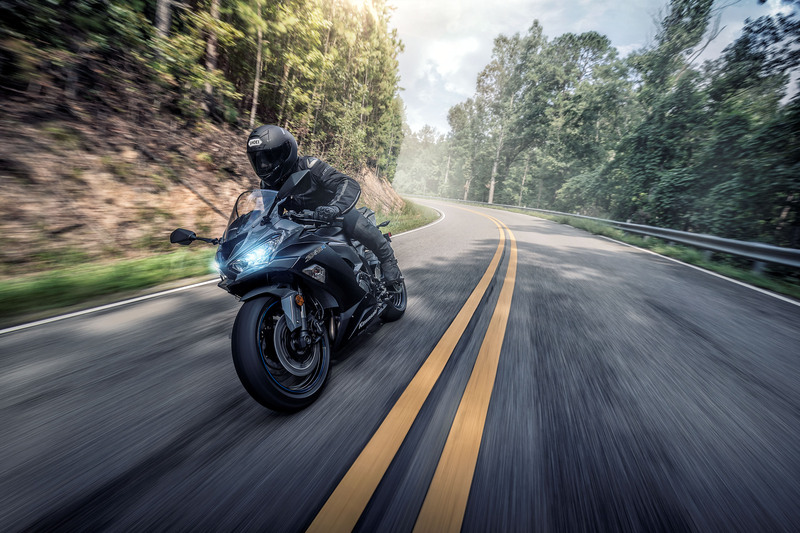 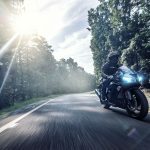 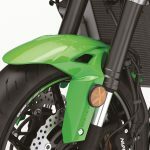 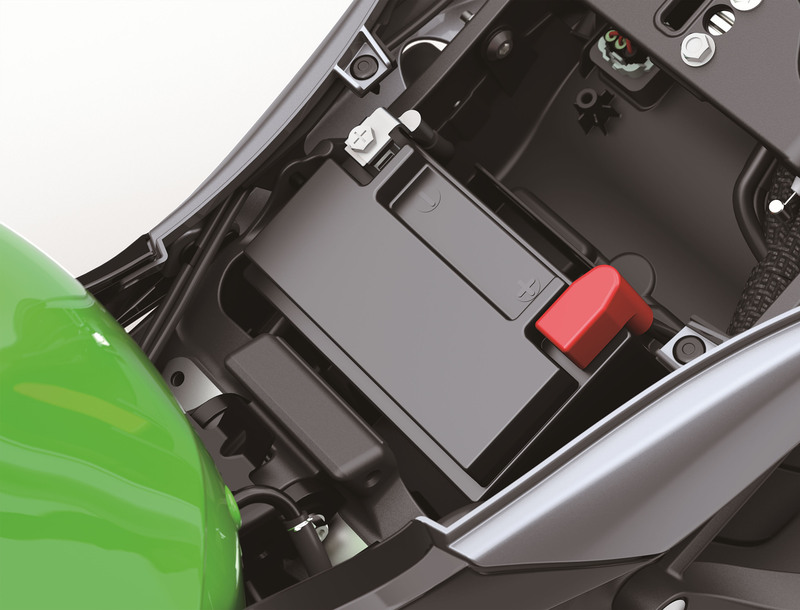 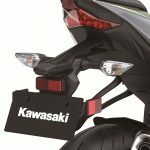 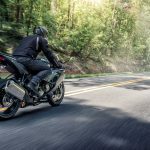 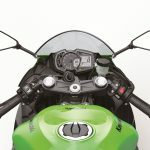 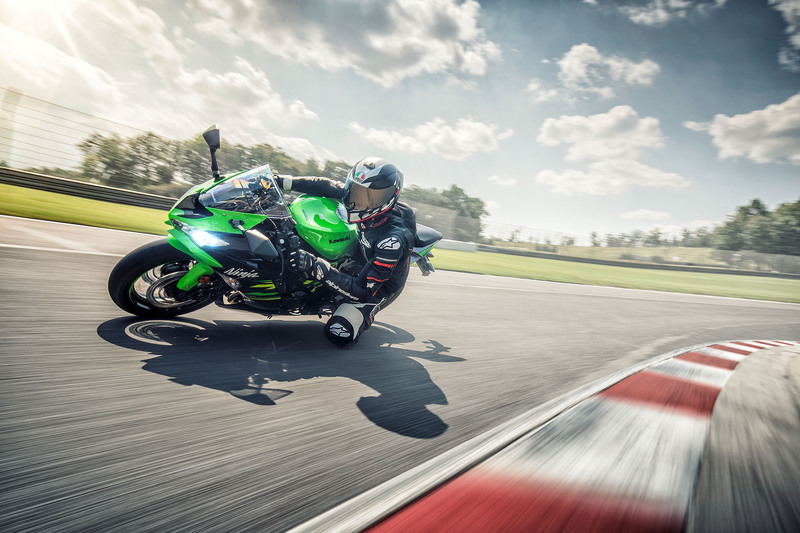 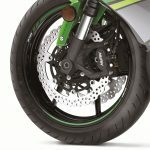 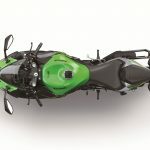 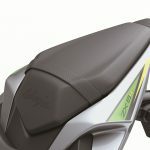 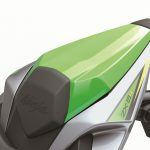 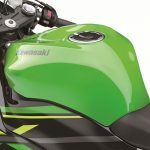 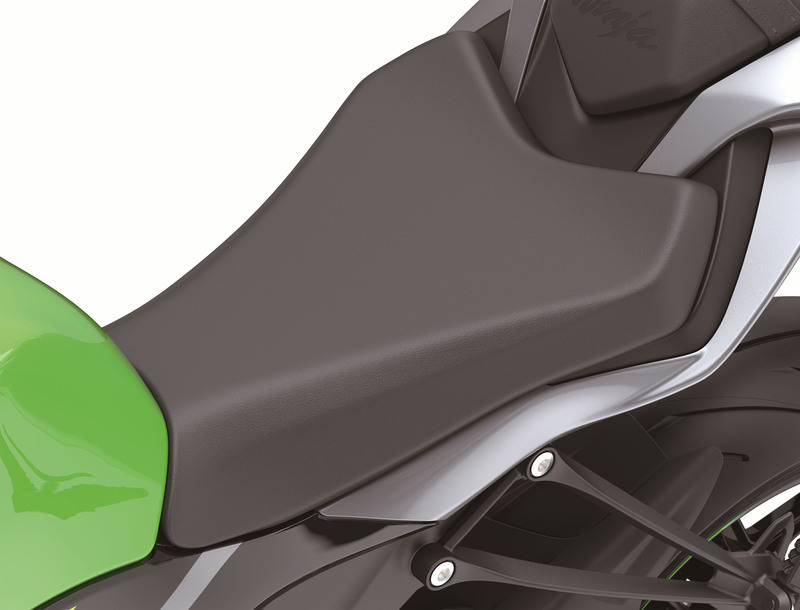 On the electronics front, Kawasaki Traction Control (KTRC) and power modes remain, and the option of having ABS in the form of Kawasaki Intelligent anti-lock Brake System is also available. 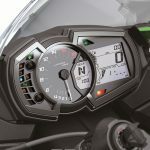 New for 2019 is a revised instrument panel, with the shift indicator now able to be set between 5,000 and 16,000 rpm in 250 rpm increments (previously the start point was 10,000 rpm). 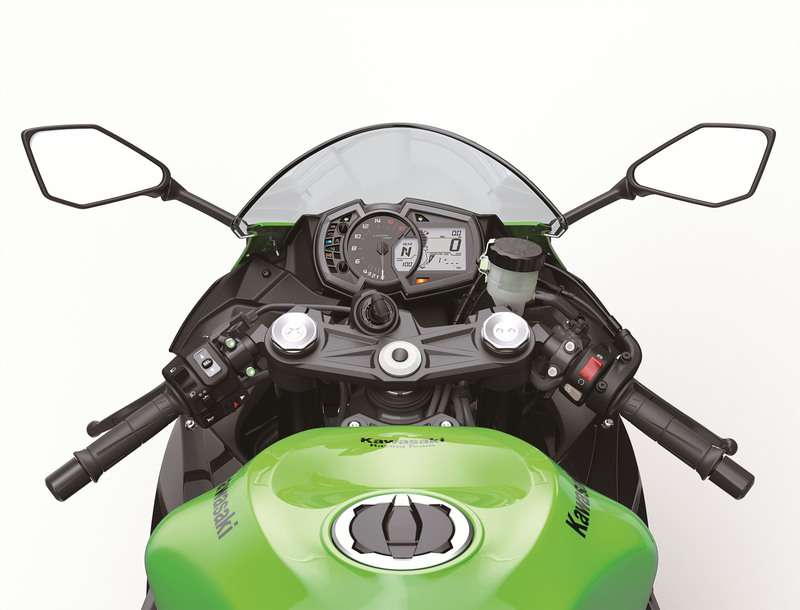 A new tachometer needle changes colors from white to pink to red to indicate upshift timing. 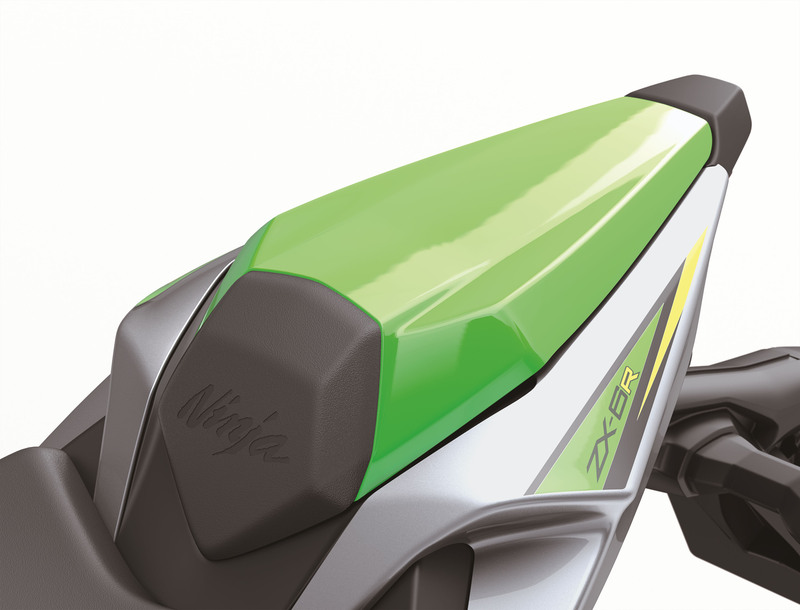 When the engine speed is within 500 rpm of the selected shift point, the shift indicator flashes and the tach needle turns pink. 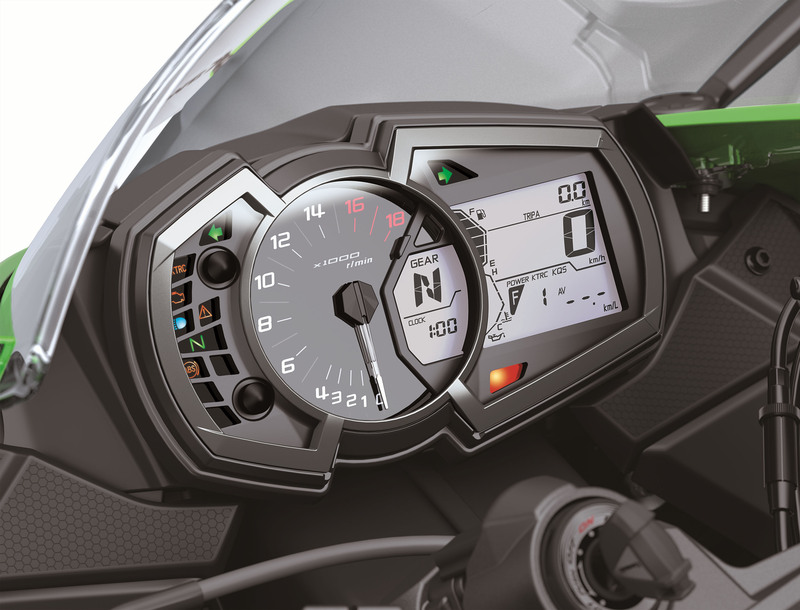 When the shift point is reached, the shift indicator flashes rapidly and the needle turns red. 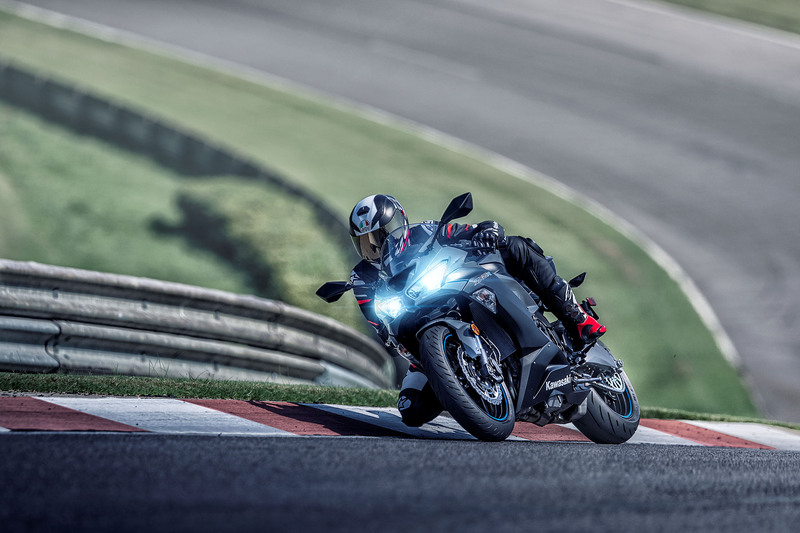 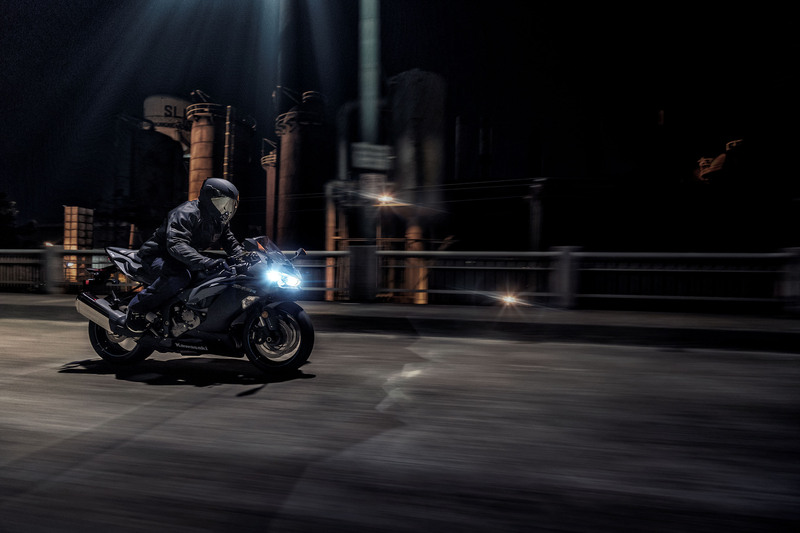 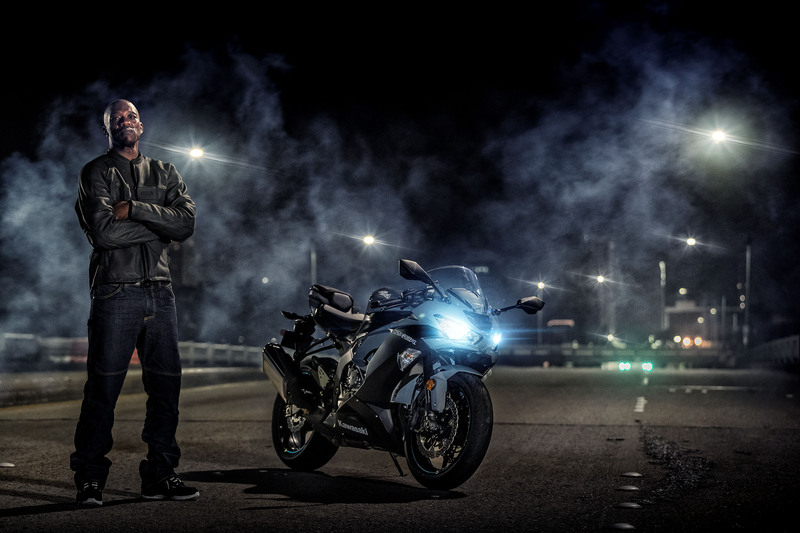 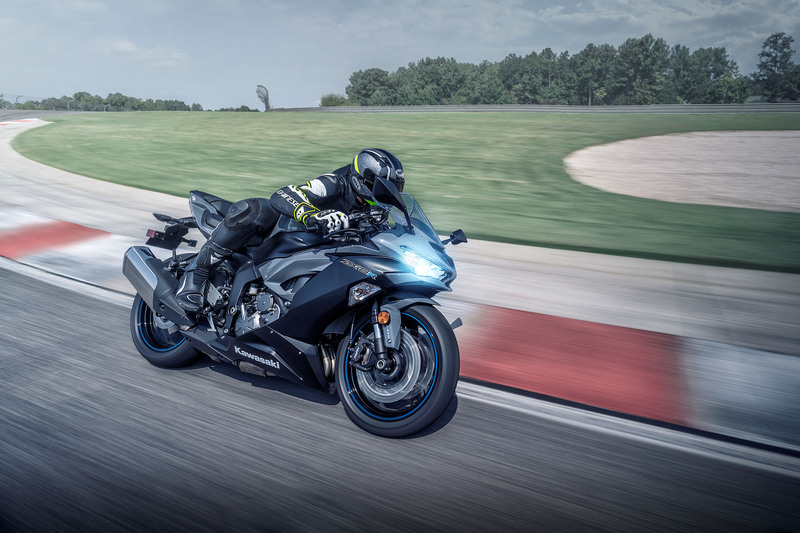 One last upgrade is a switch to Bridgestone’s latest sport tires, the Battlax Hypersport S22. 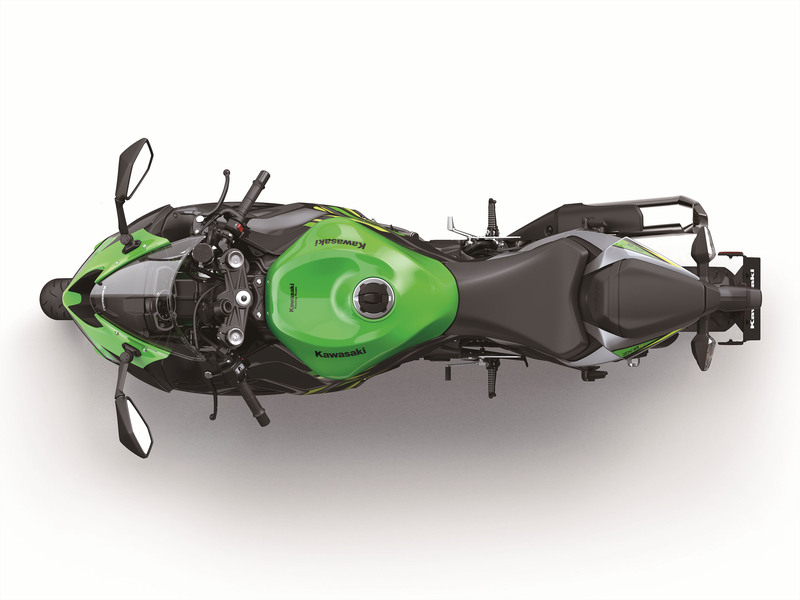 Other carryovers include the chassis and suspension, with a 23.5º rake angle and 4.0 inches of trail. 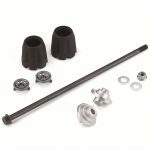 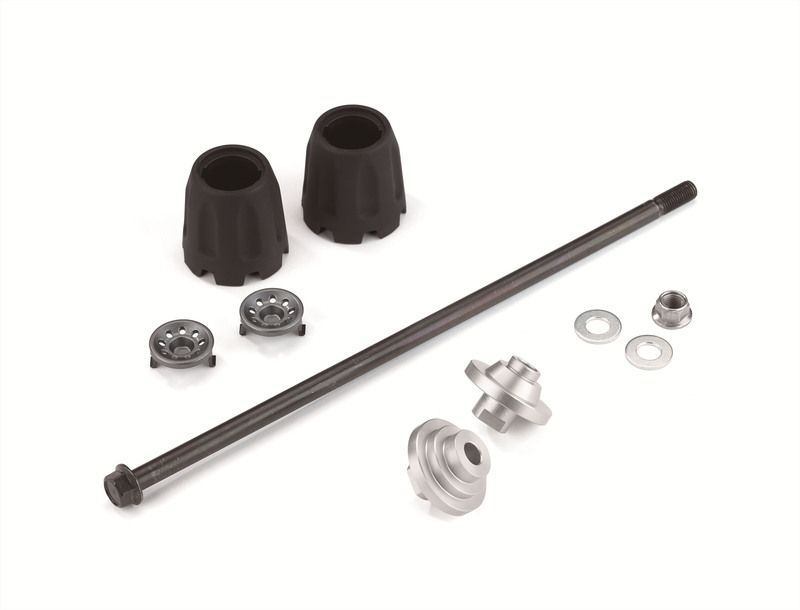 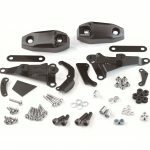 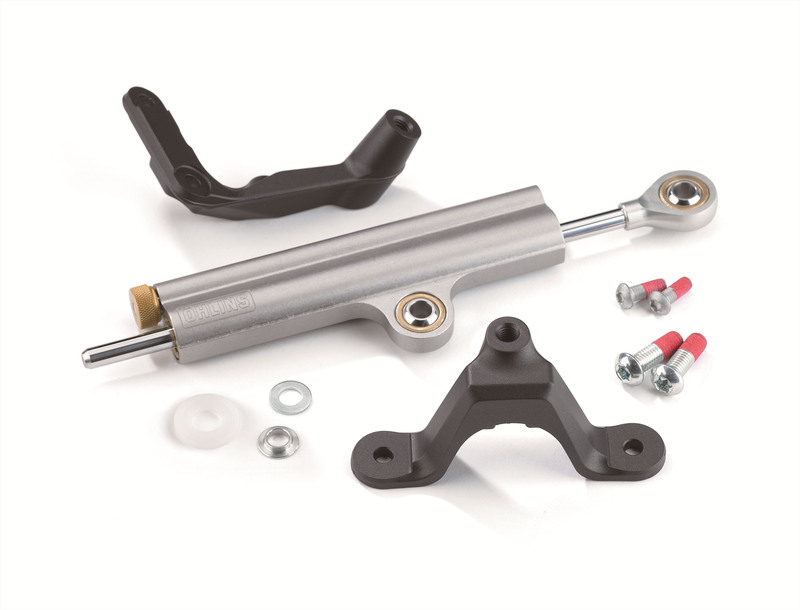 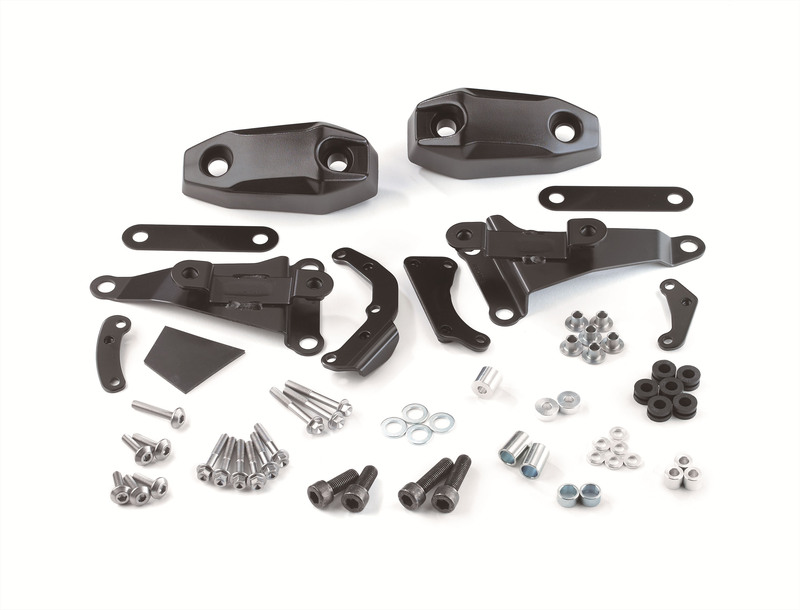 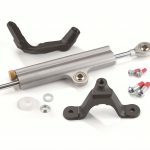 Showa suspension components include a 41mm Big Piston Separate Function cartridge fork (BP-SFF) with 37mm pistons, adjustable for preload, rebound, and compression. 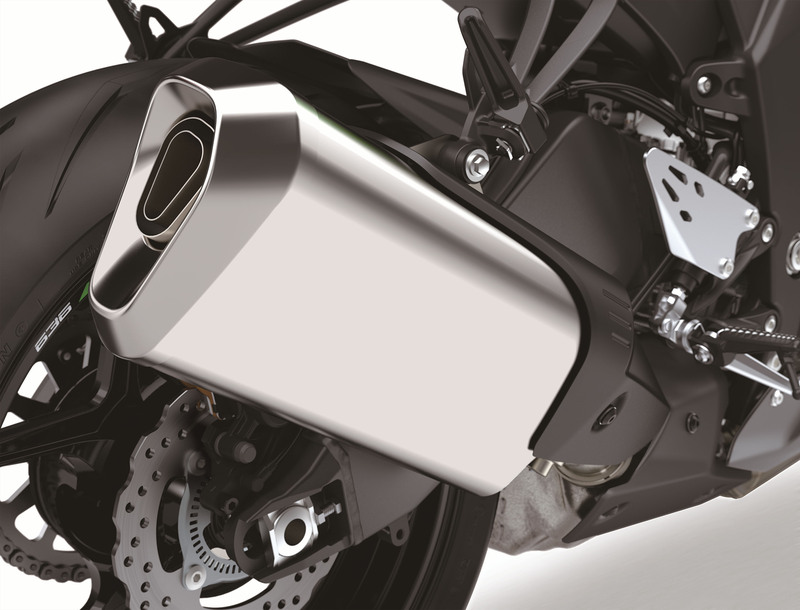 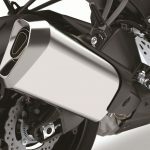 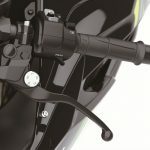 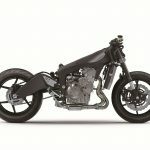 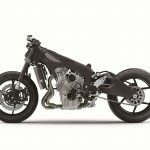 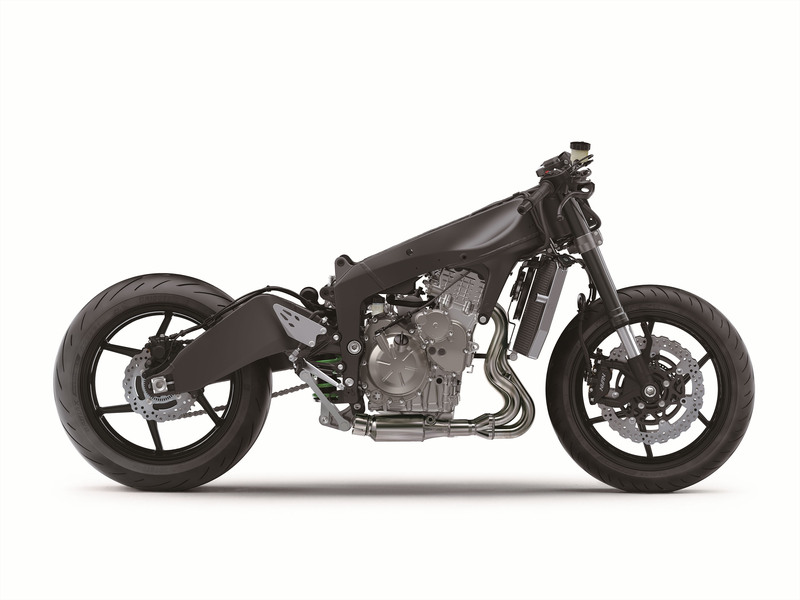 In the rear, a Showa shock features adjustable preload and ride height, as well as adjustments for both high- and low-speed compression damping. 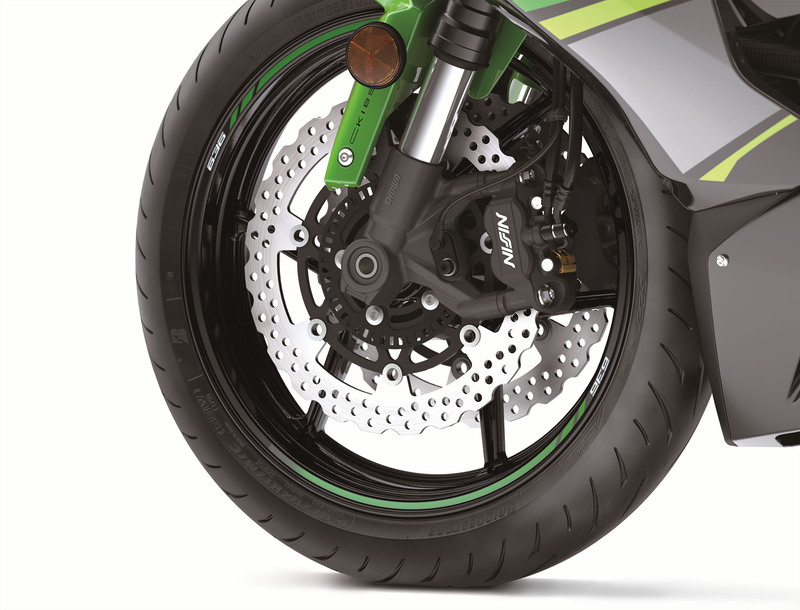 Brakes are dual 310mm petal-type discs with four-pot Nissin radial-mount calipers, while the rear sees a 210mm disc. 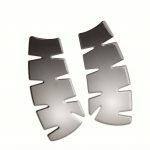 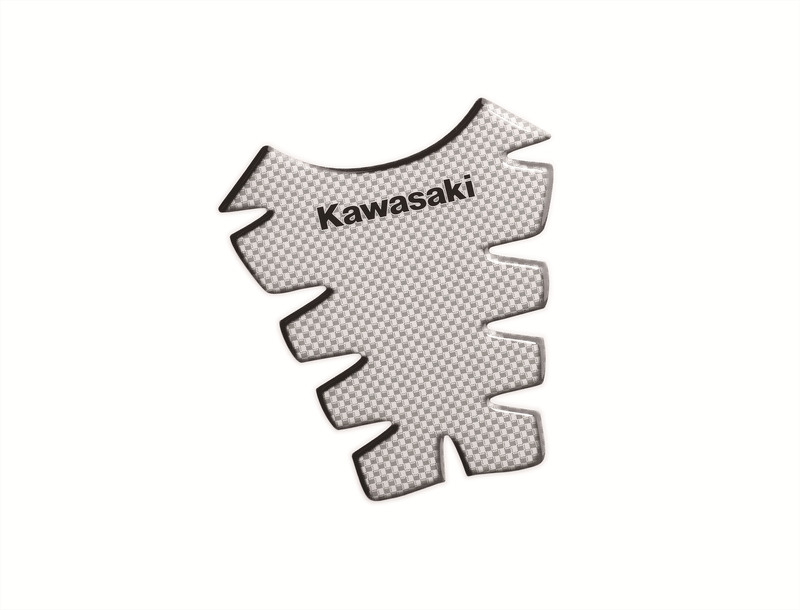 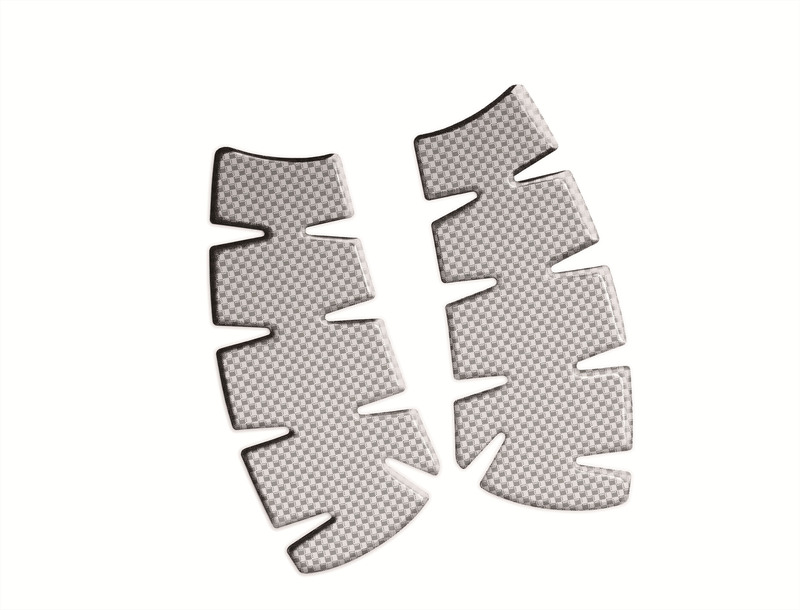 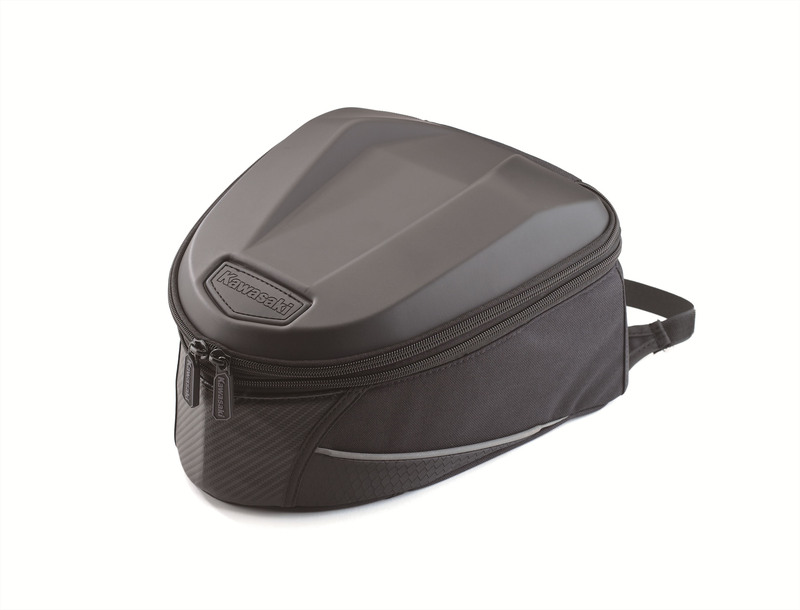 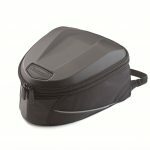 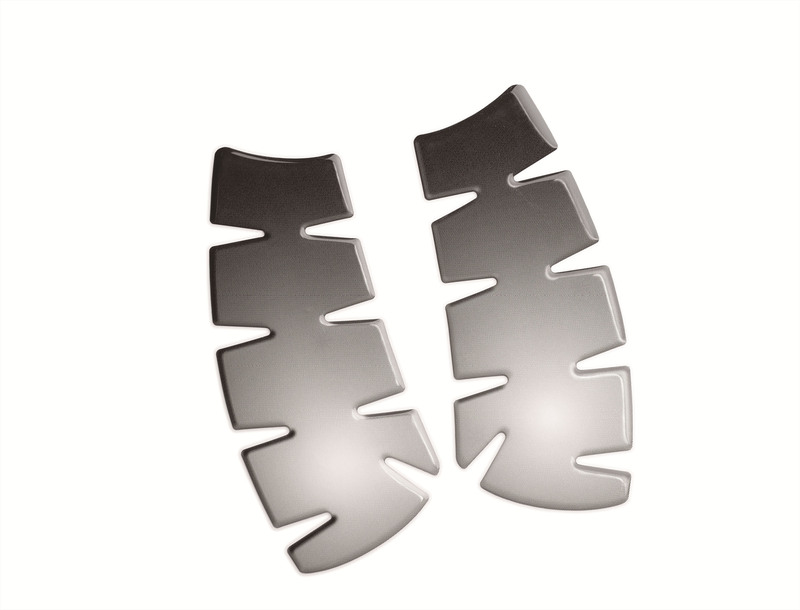 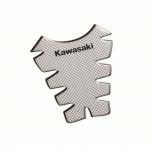 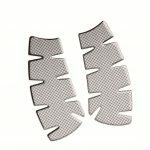 As mentioned before, KIBS (ABS in Kawi lingo) is also available. 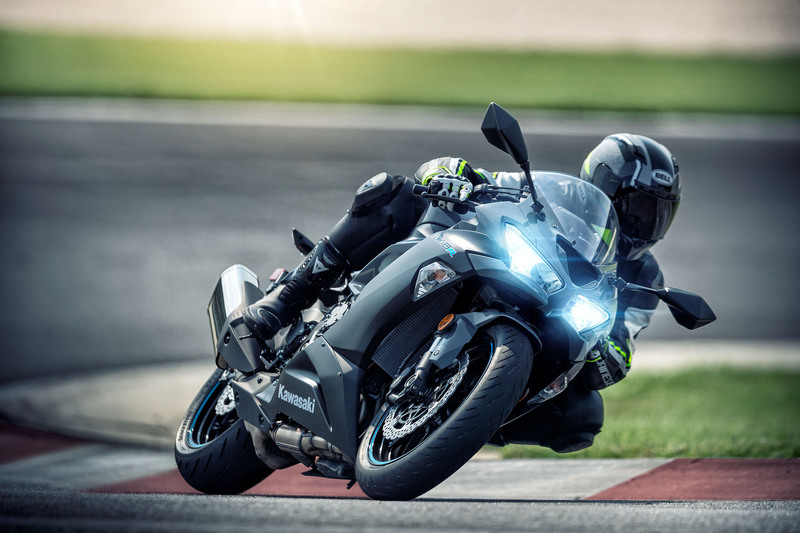 While the changes to the 2019 Kawasaki Ninja ZX-6R don’t amount to anything earth shattering, perhaps its greatest improvement is its new price. 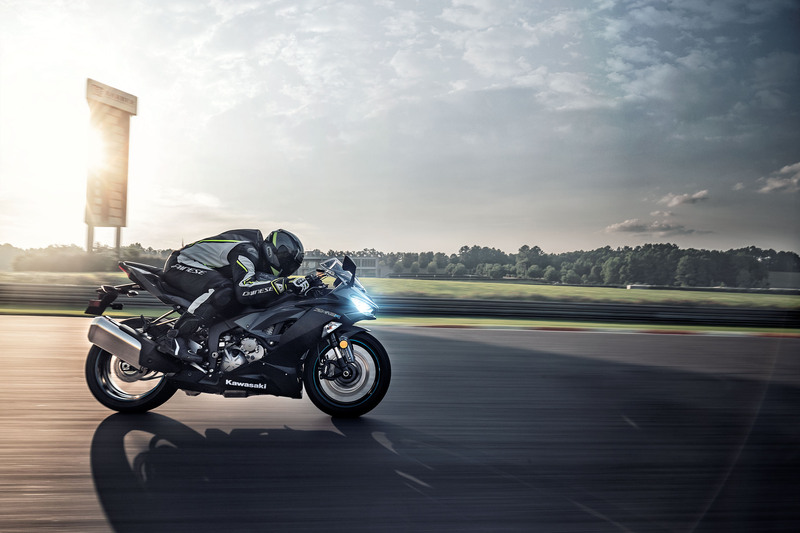 Starting at $9,999 for the standard model, ABS brings the cost up to $10,999. 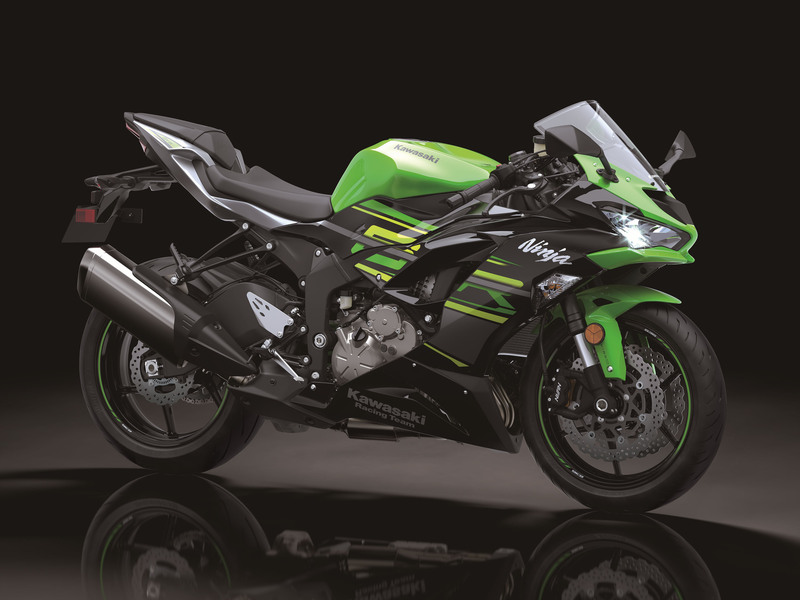 Opt for ABS and the KRT colorway and the price jumps a little more to $11,299. 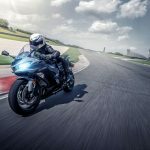 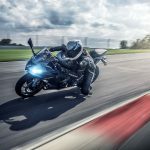 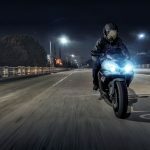 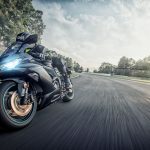 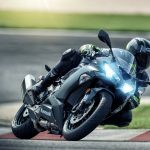 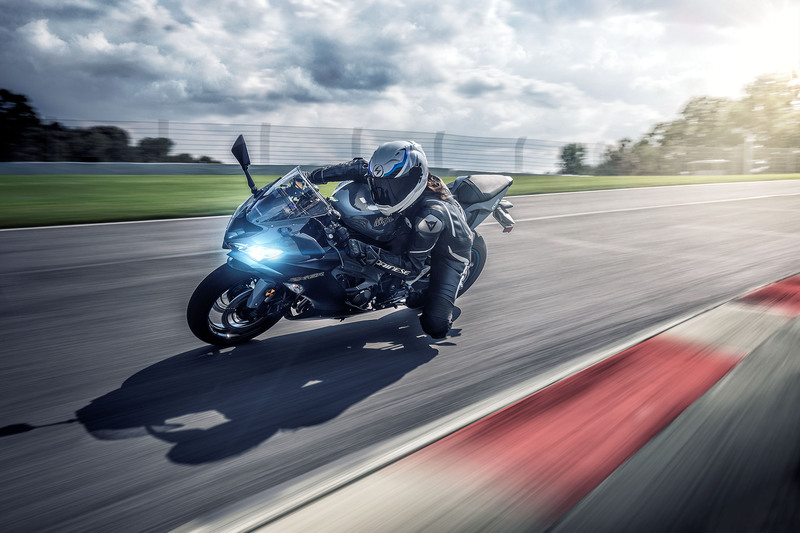 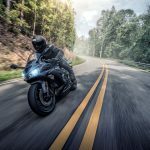 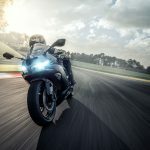 Still, at those prices the middleweight Ninja undercuts its next closest rival, the $11,399 Suzuki GSX-R600, by as much as $1,400 – a not insignificant amount. 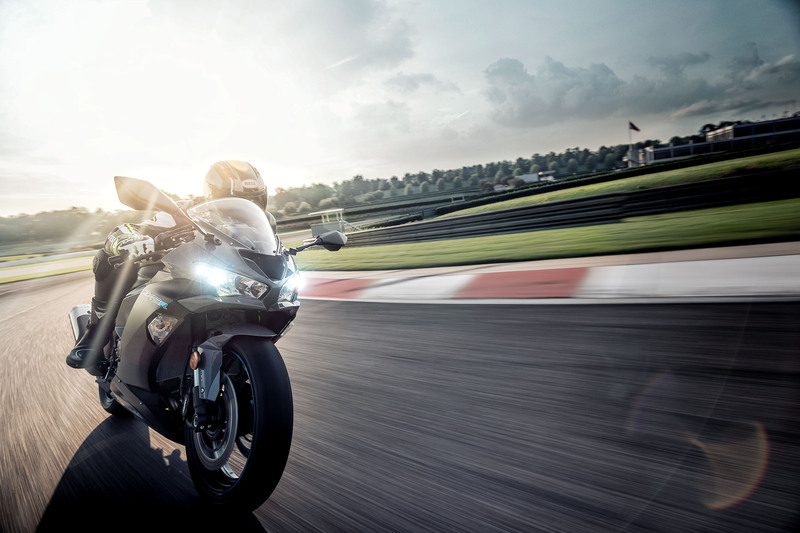 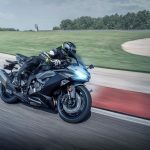 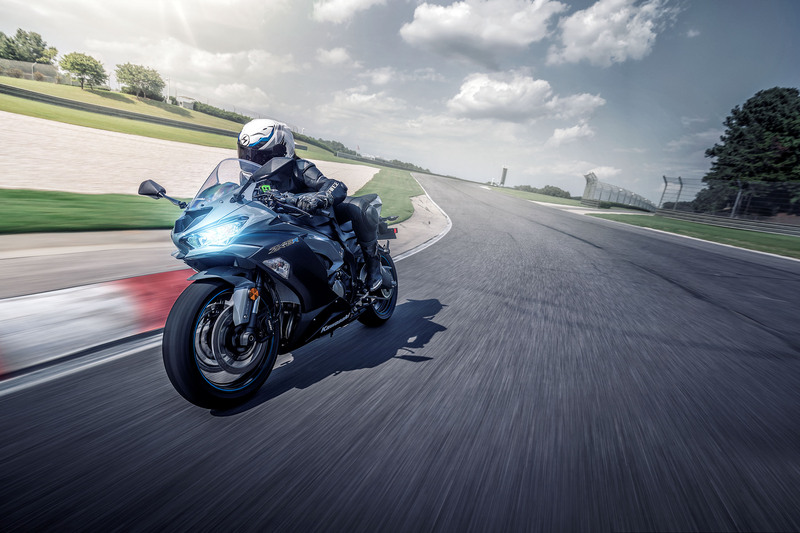 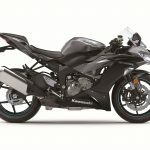 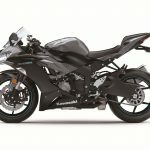 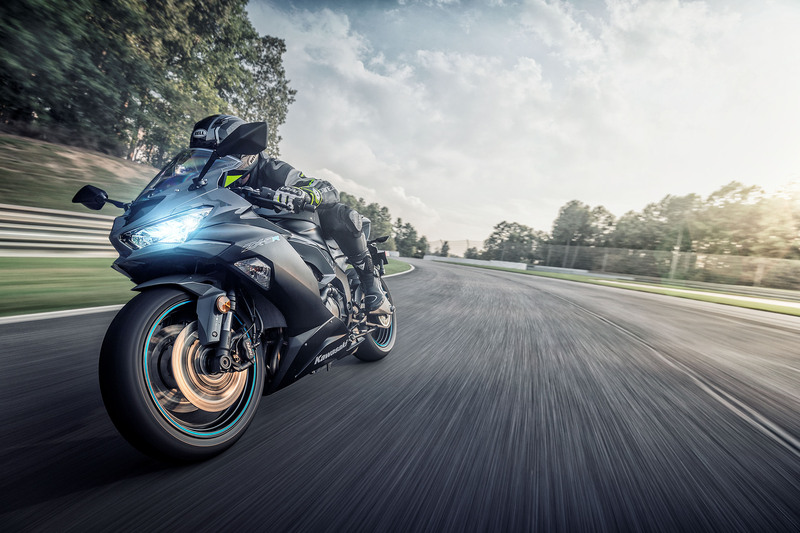 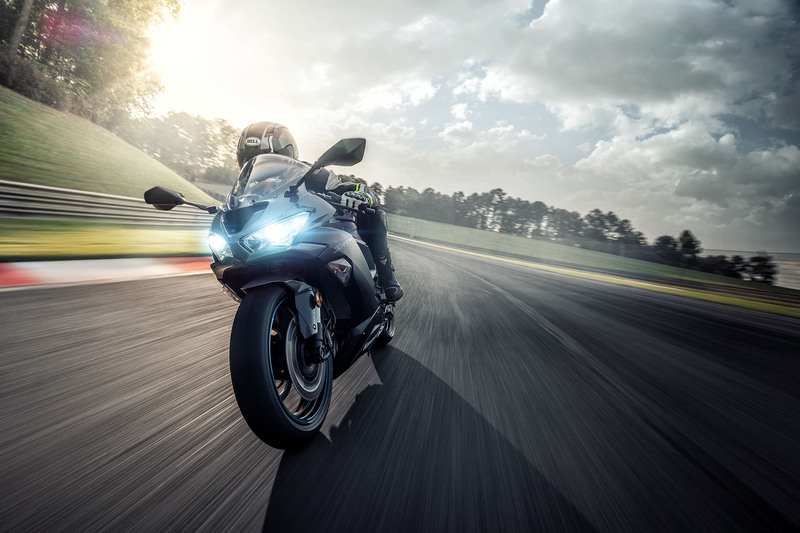 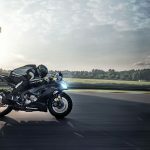 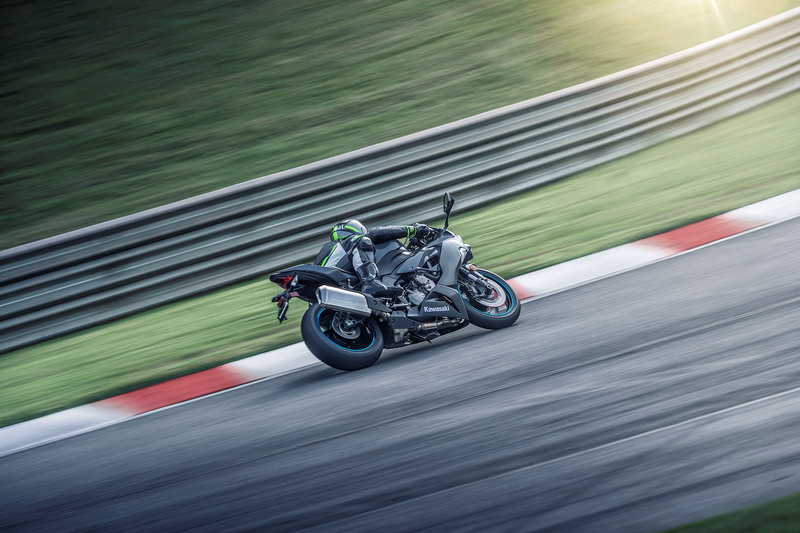 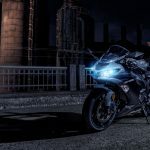 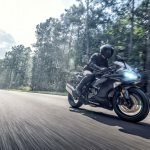 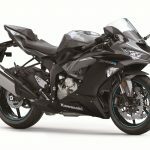 The 2019 Honda CBR600RR costs a little more, at $11,799, while the Yamaha YZF-R6 tops the Japanese supersport price chart at $12,199. 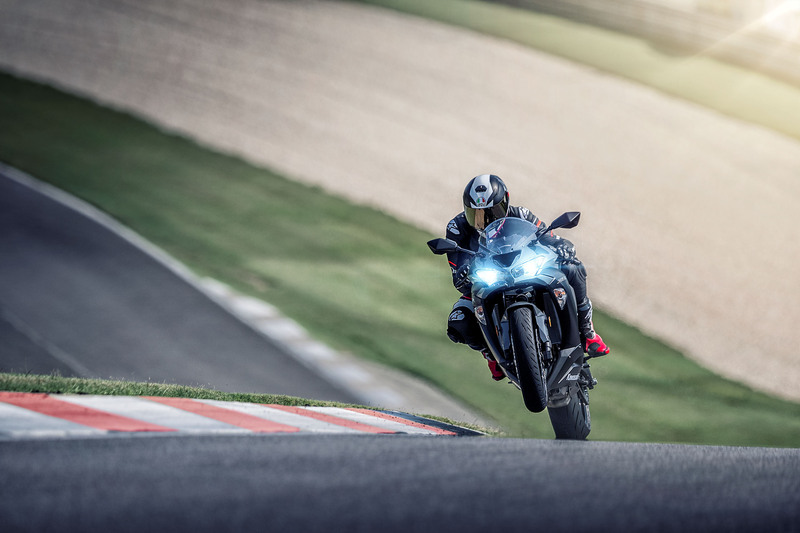 Could a cheaper price be the spark the middleweight supersport category needs for revitalization? 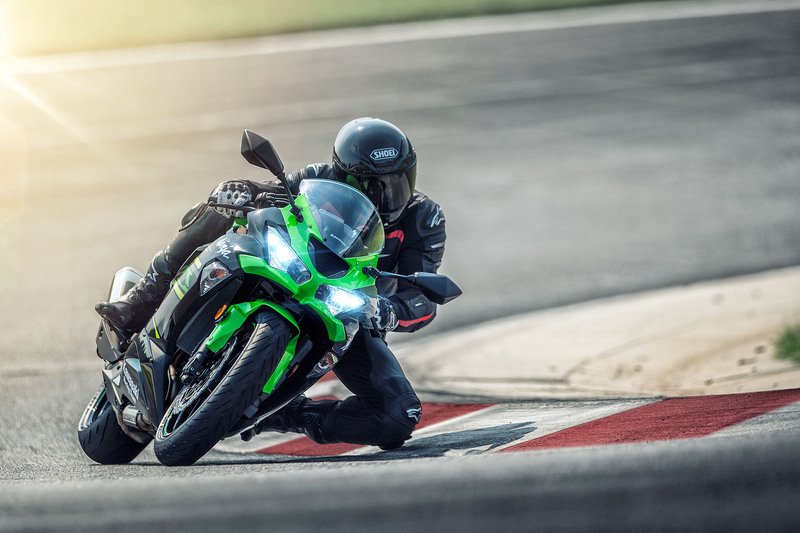 It definitely can’t hurt. 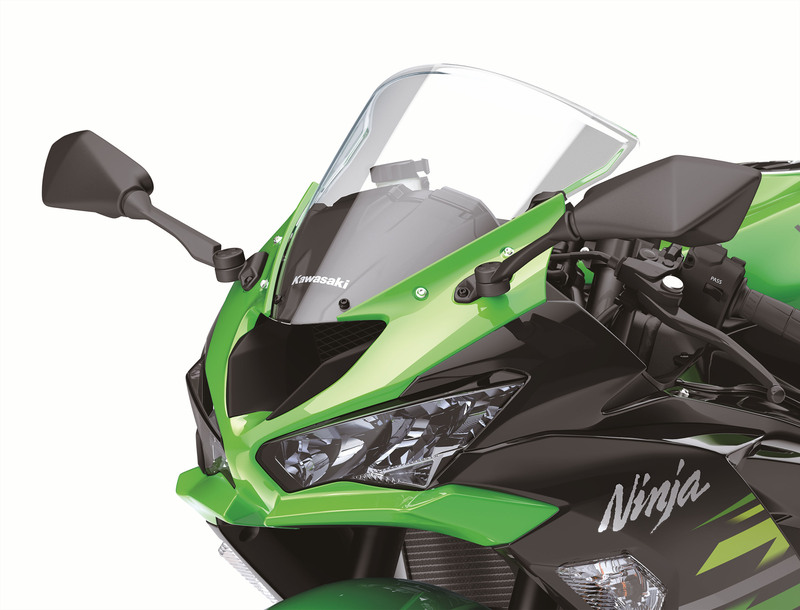 All that’s left is to see how the newest Ninja performs. 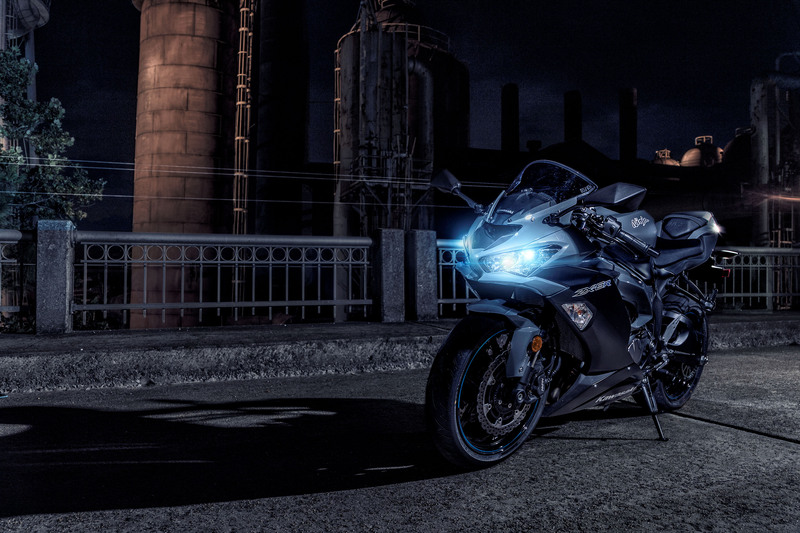 Luckily, by the time you read this, I’ll be in Las Vegas, Nevada to find out just that. 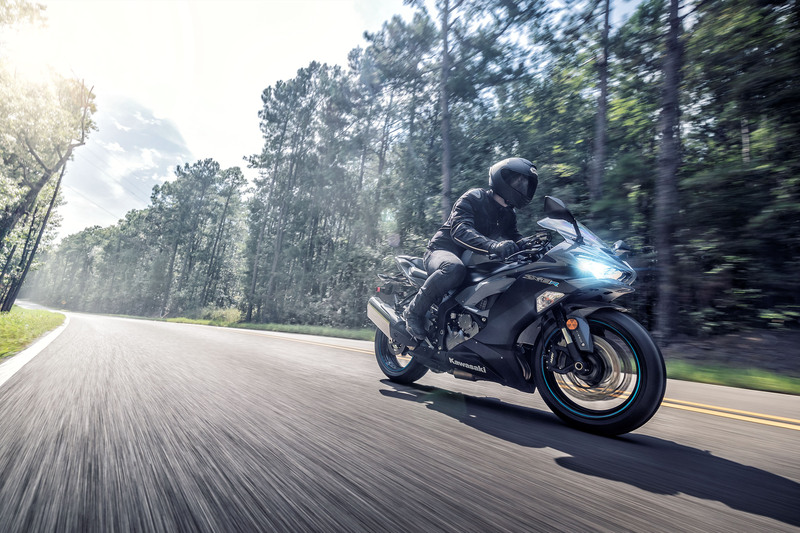 Check back Tuesday, October 16, for a First Ride review including a jaunt around the streets of Vegas, and a day flogging the new model around the Vegas Motor Speedway road course.